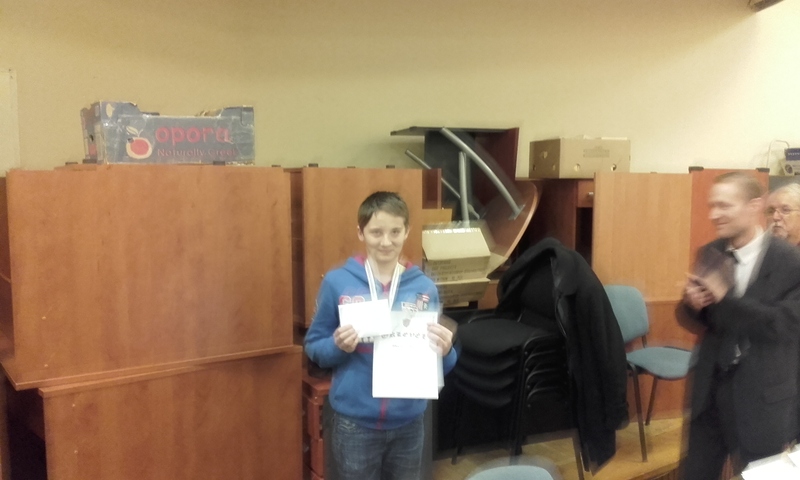 Kokeny Norbert took clear first with 6/7. 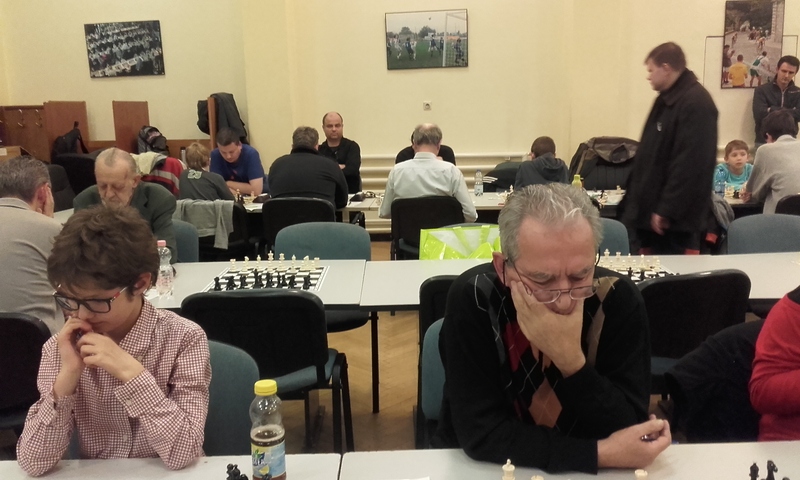 Bodrogi Laszlo and Yip Michael were next with 5.5,7. 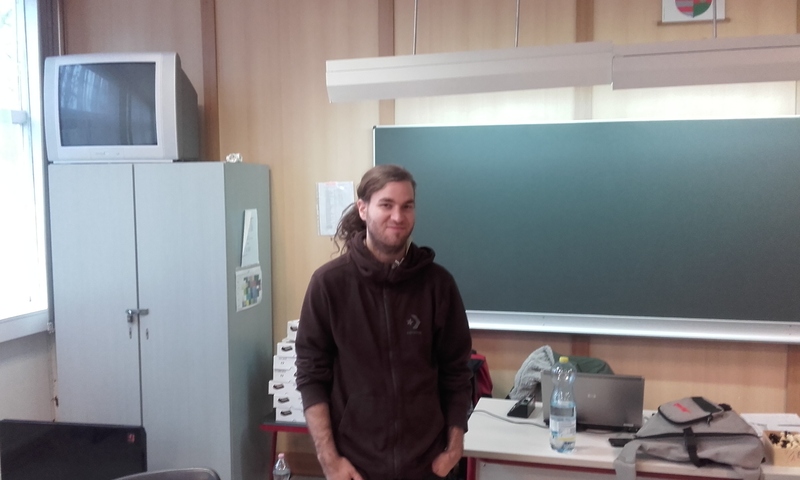 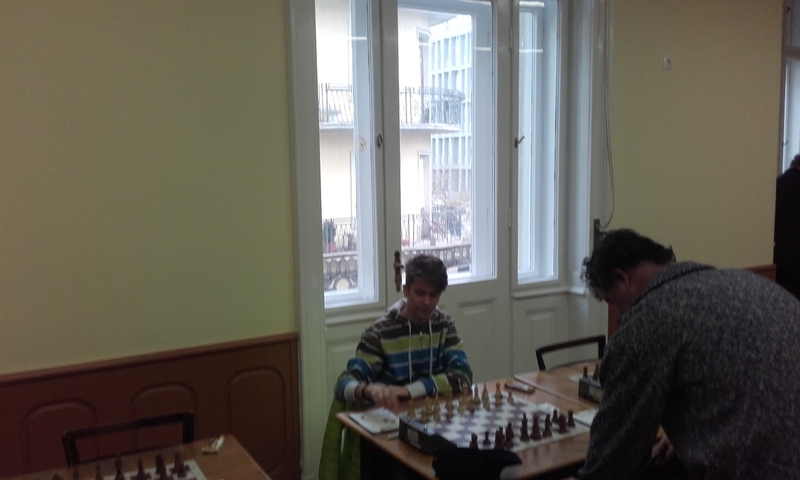 I took 3rd on the tiebreak but Bodgrogi played some nice games which I saw first hand as I spent most the tournament on the next board or two over from him. 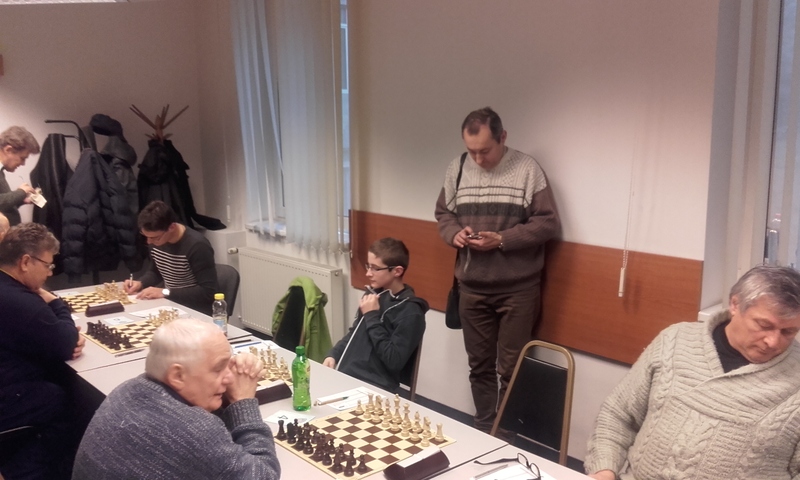 After the tournament Csatho Gabor asked me what I did to improve so much i n the last year. 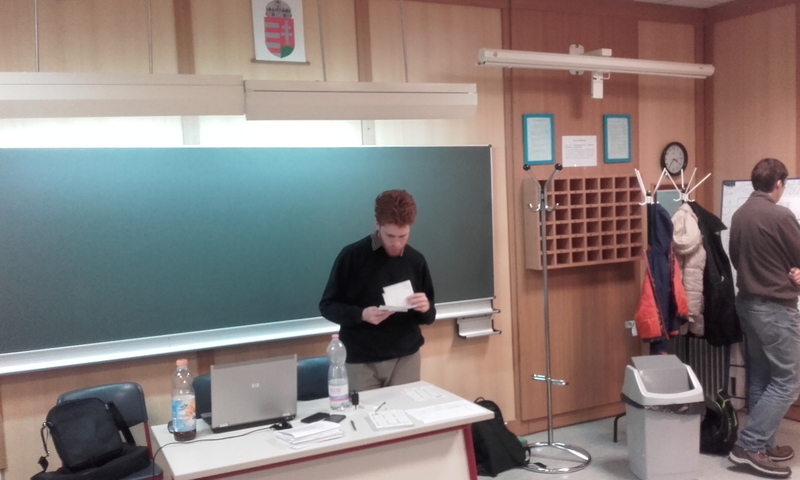 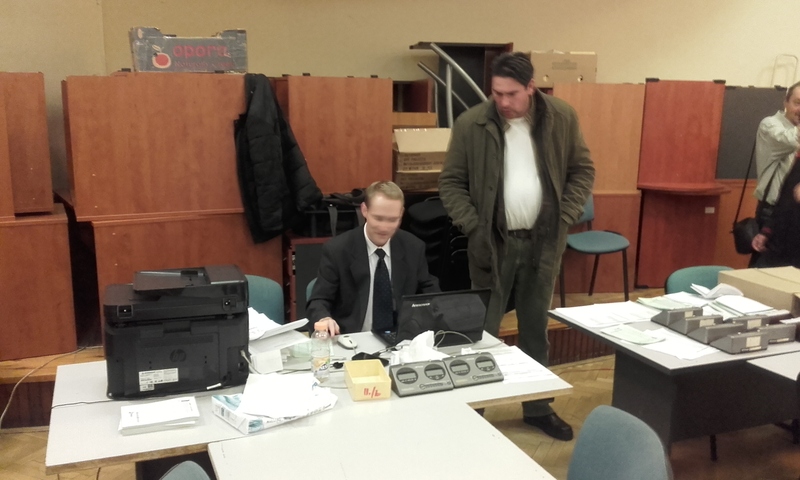 I had to answer(through an interpreter) truthfully that my play has been quite poor for 2-3 years now and I am working hard get back to the 2089 or something that I arrived with about 7 years ago. 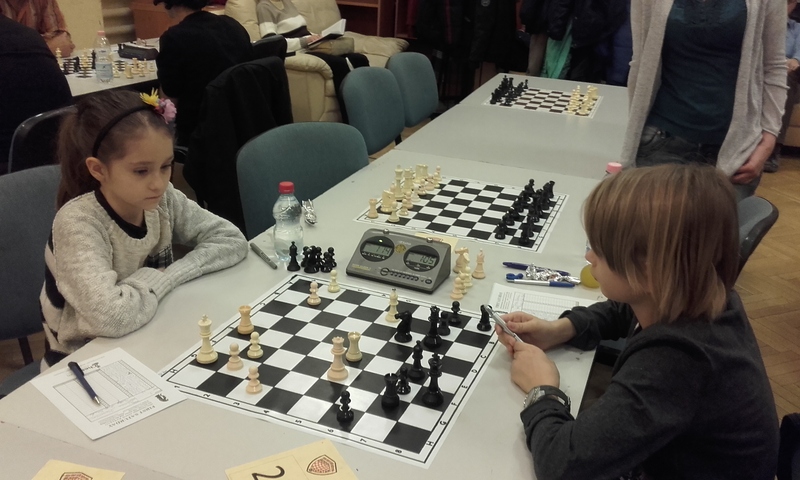 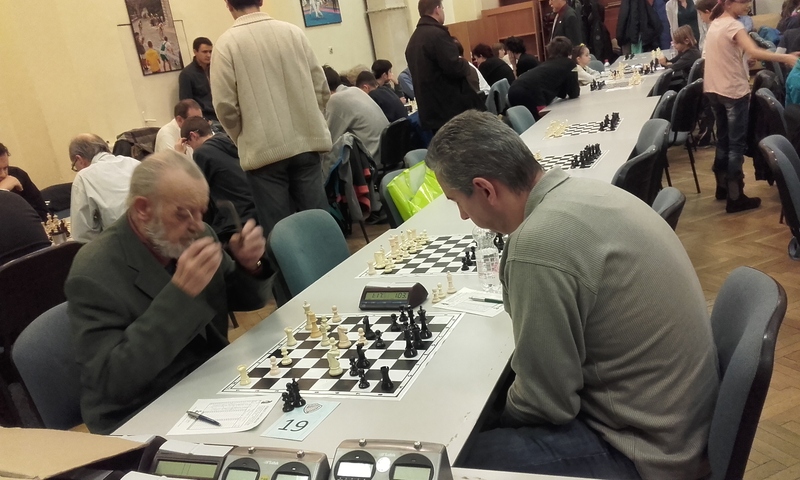 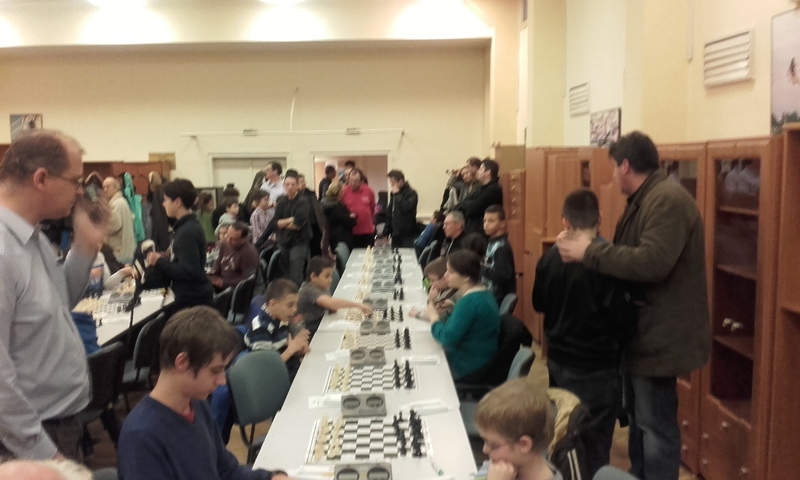 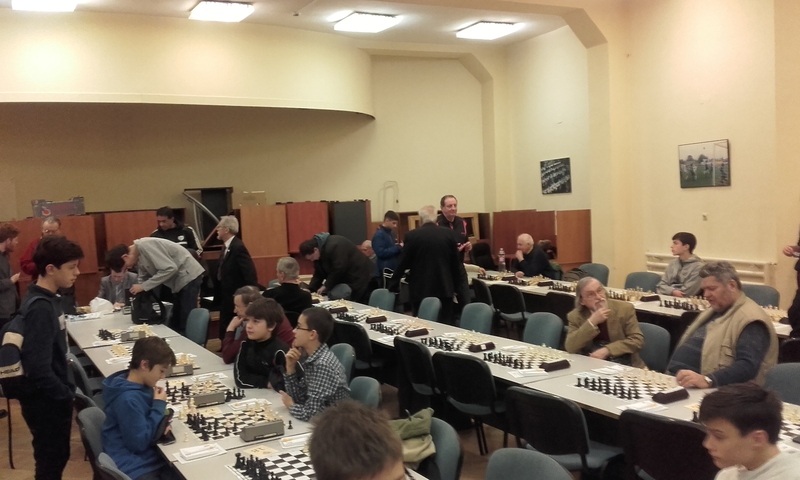 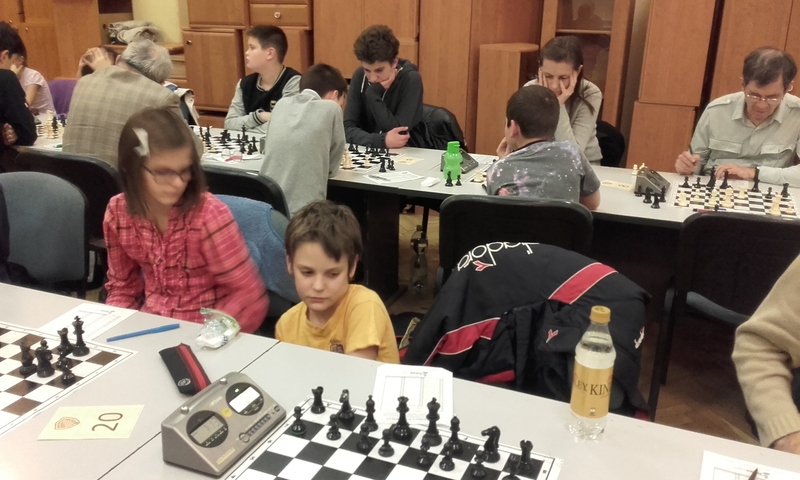 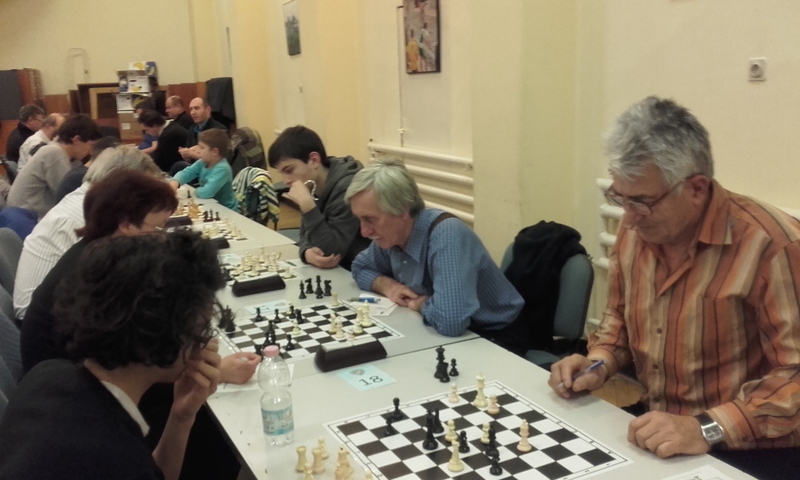 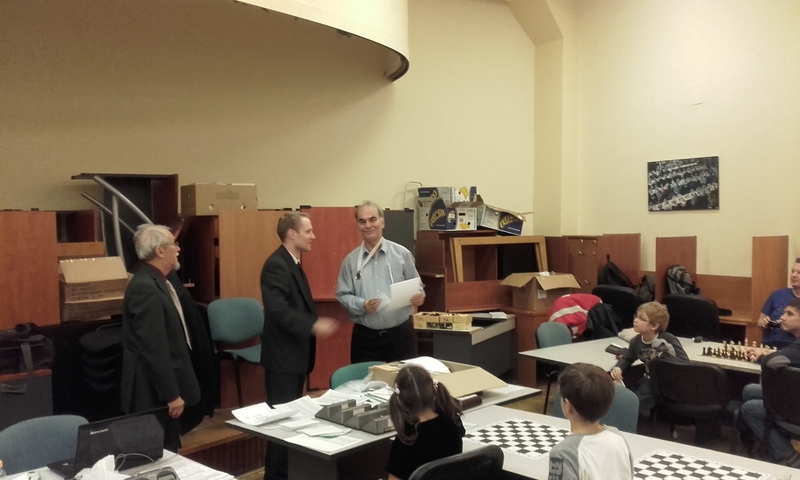 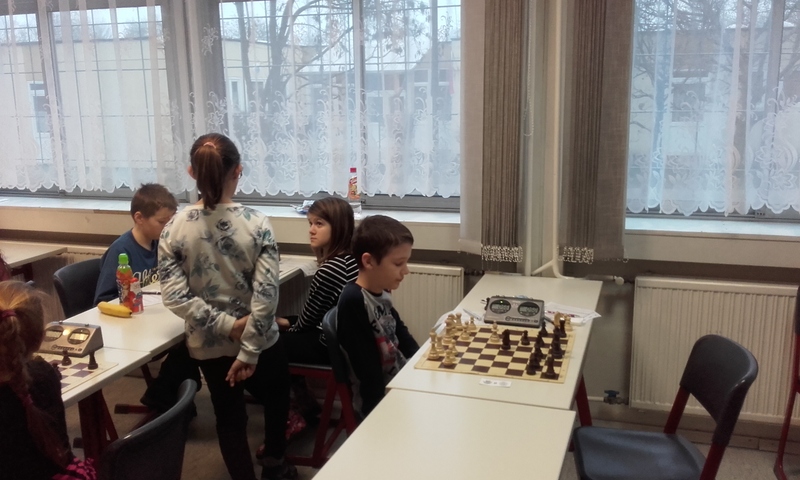 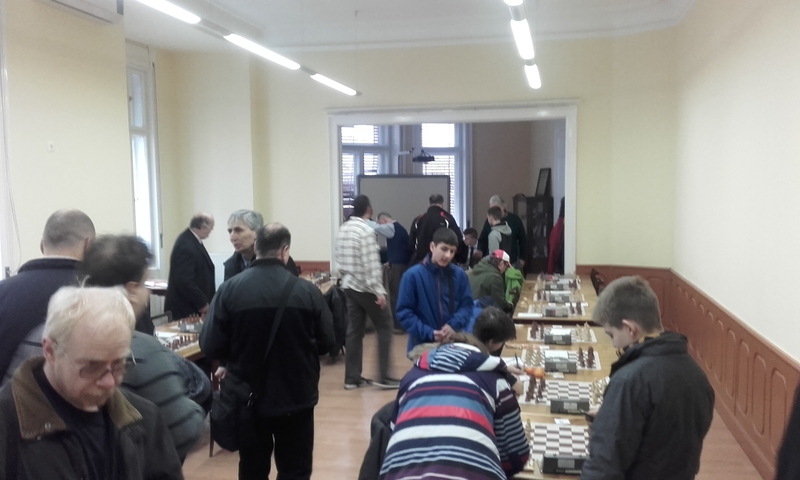 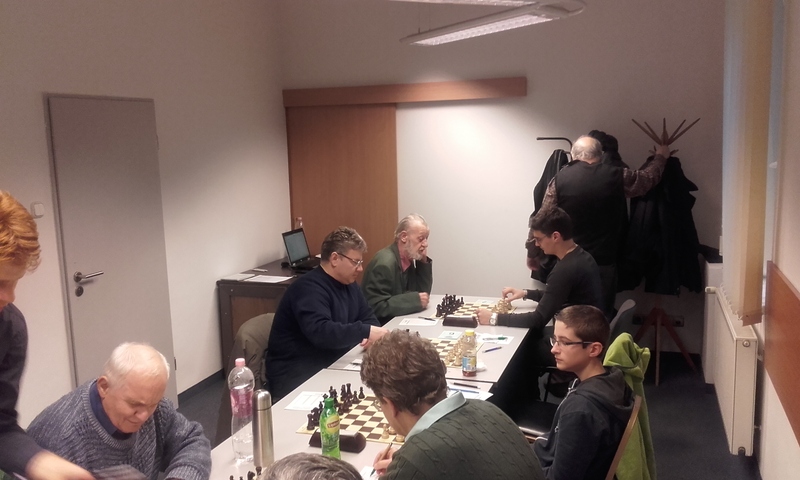 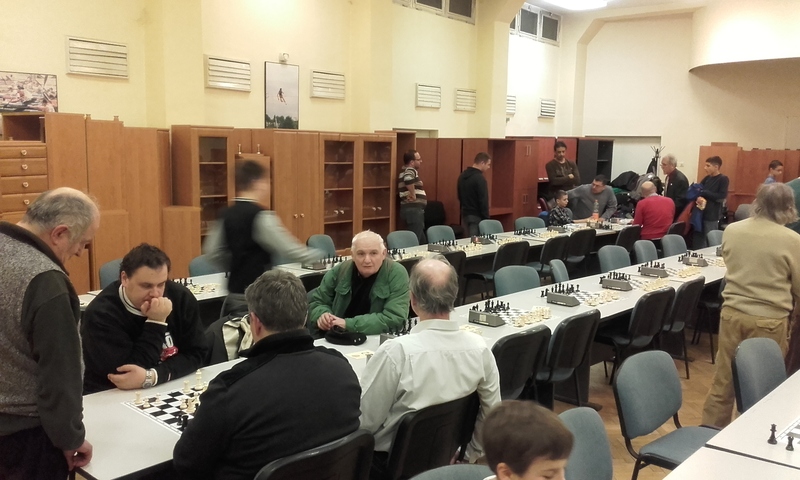 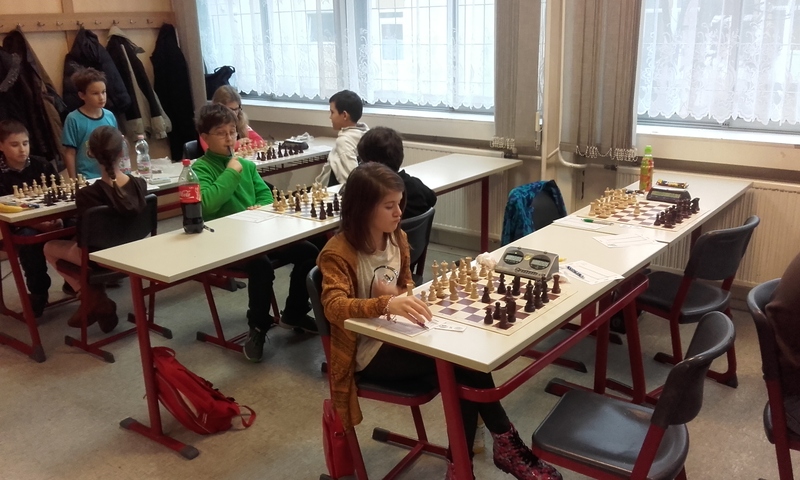 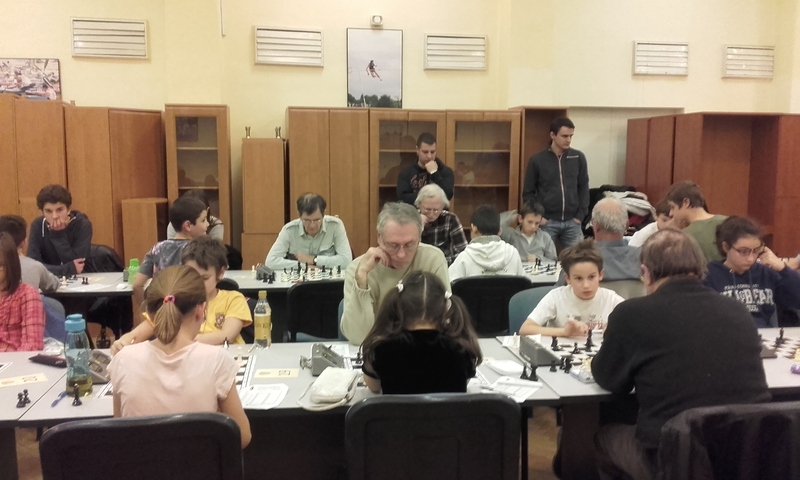 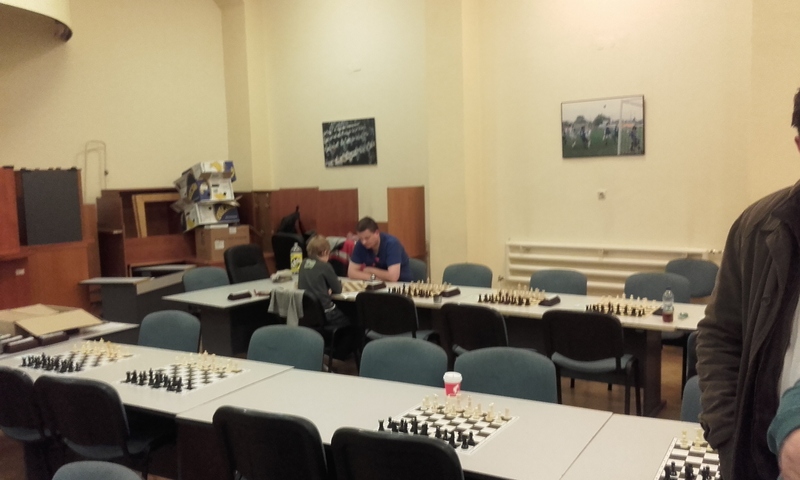 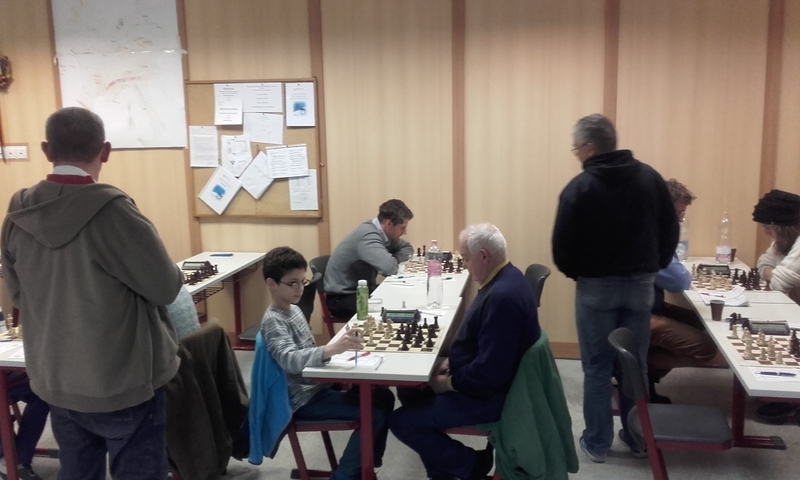 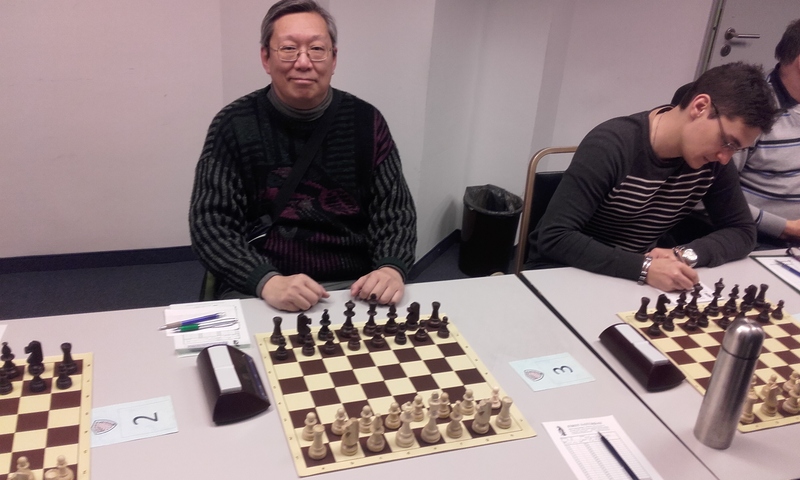 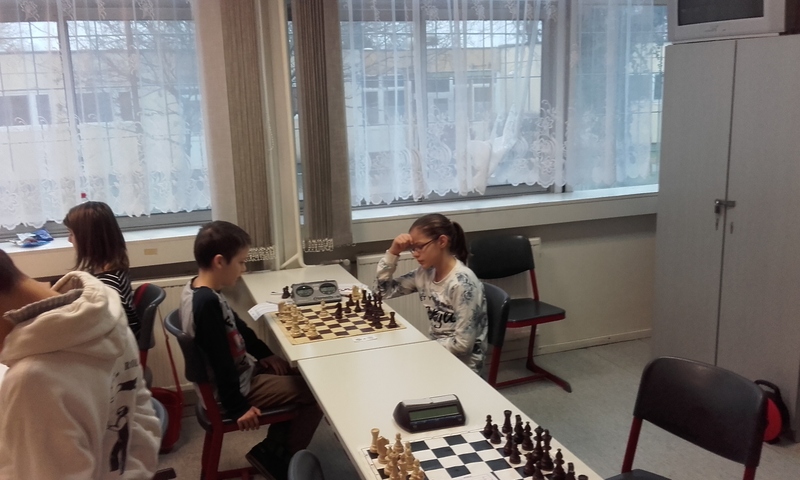 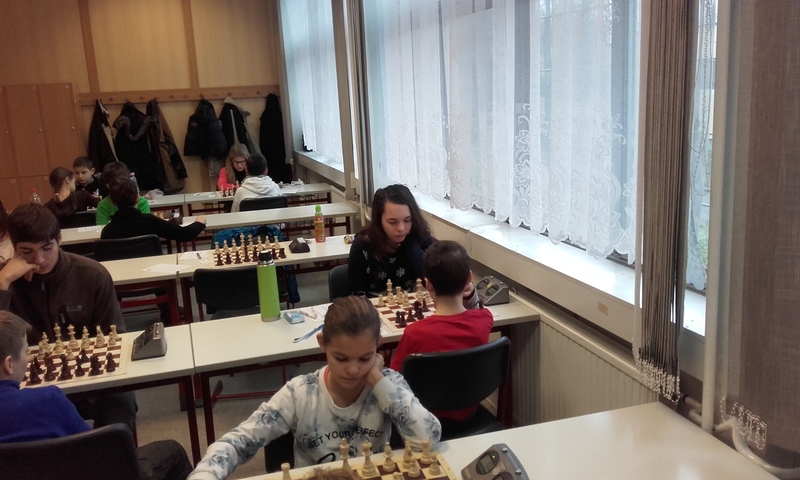 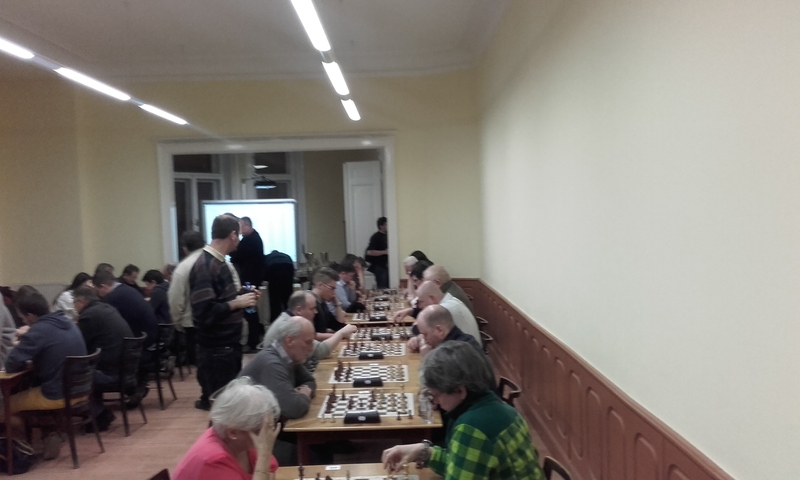 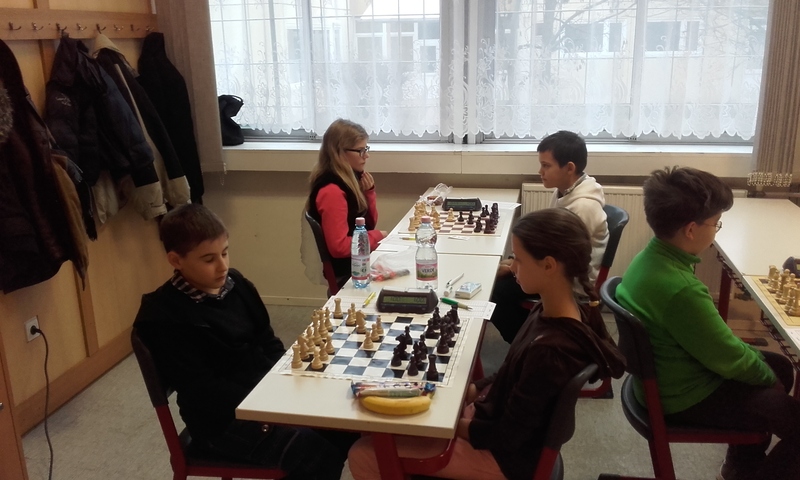 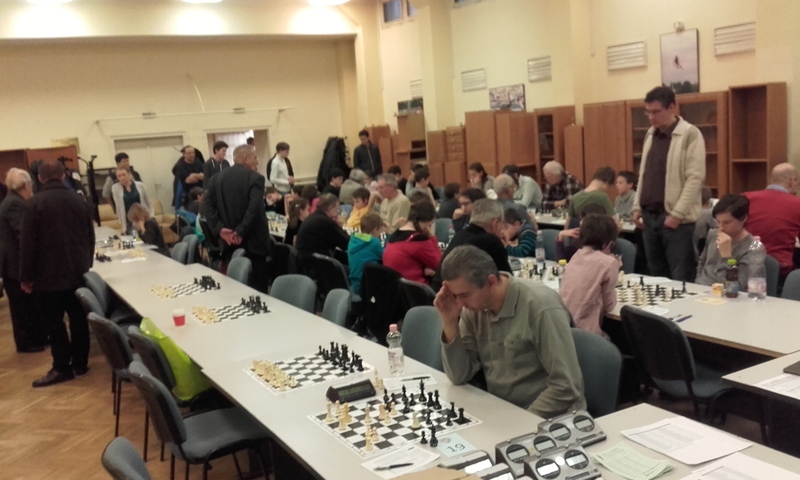 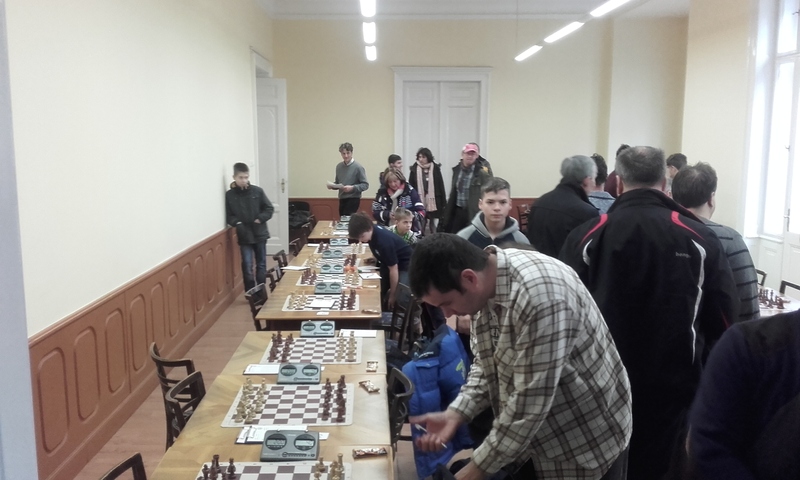 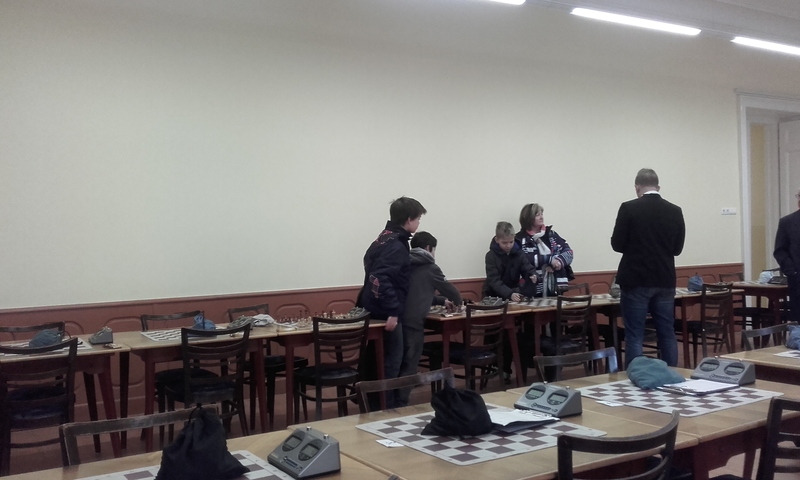 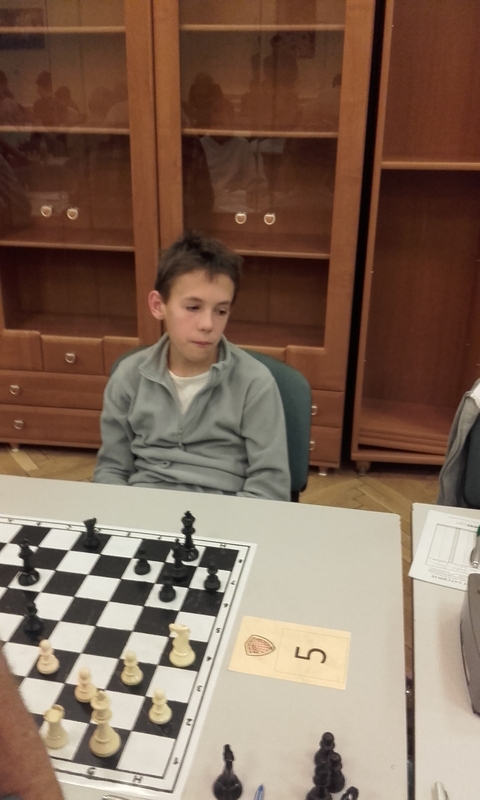 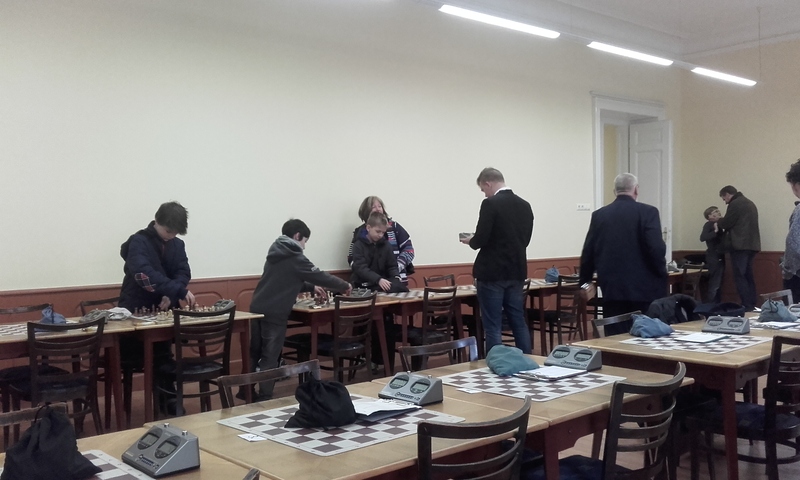 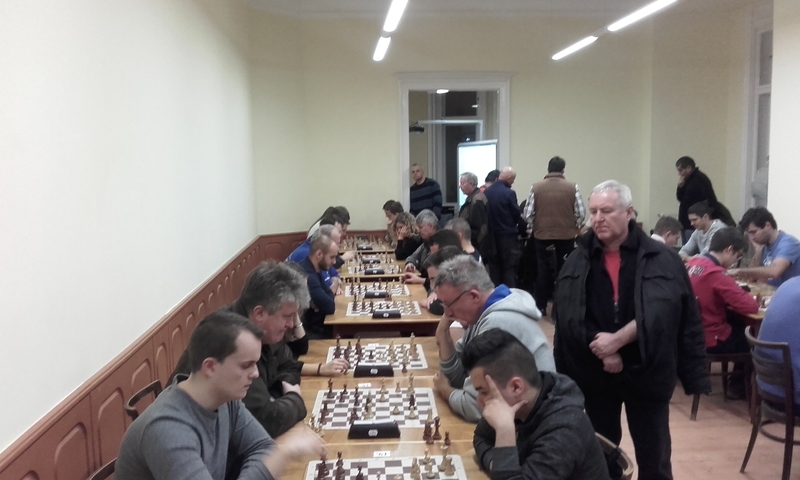 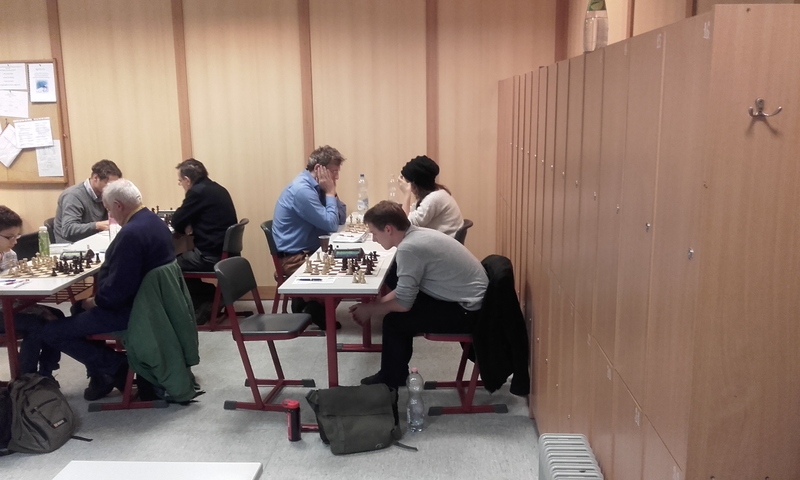 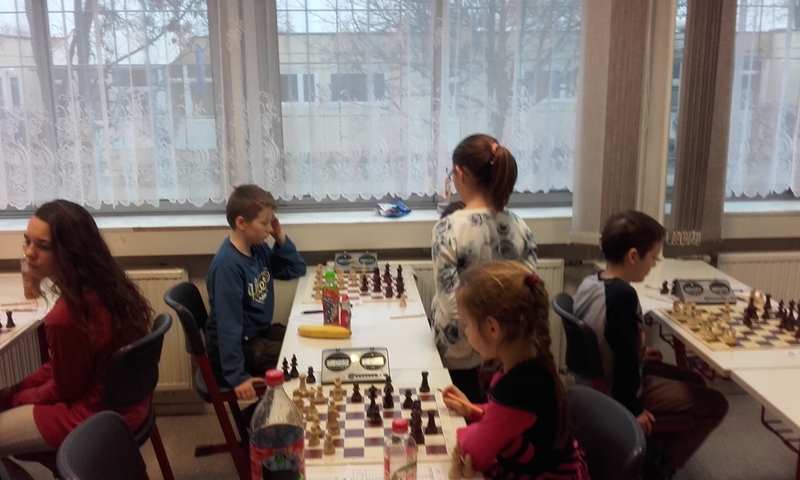 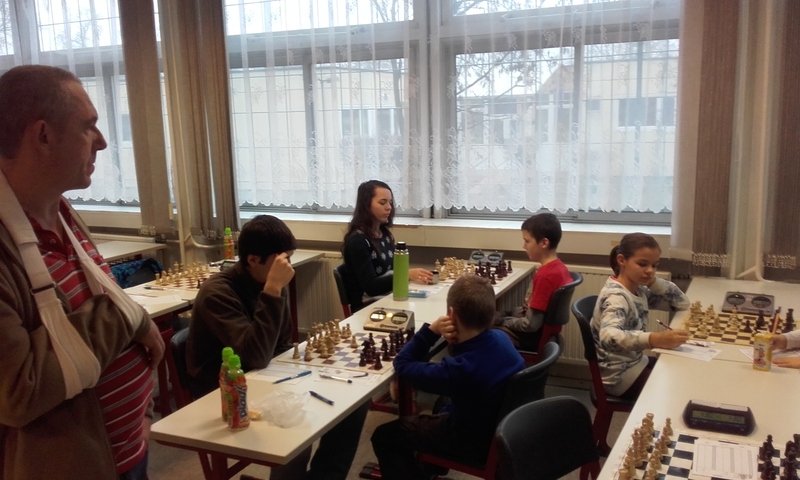 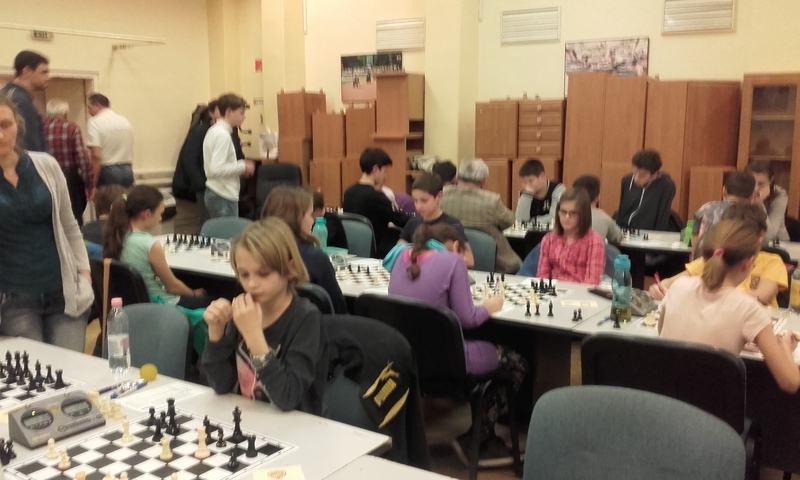 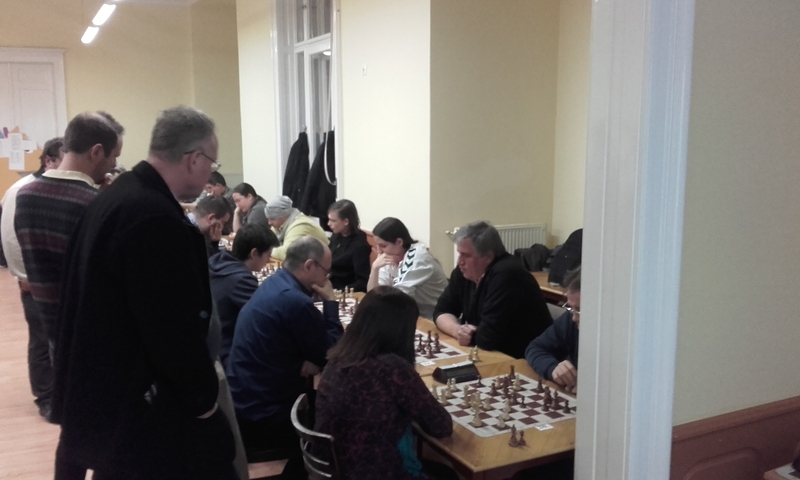 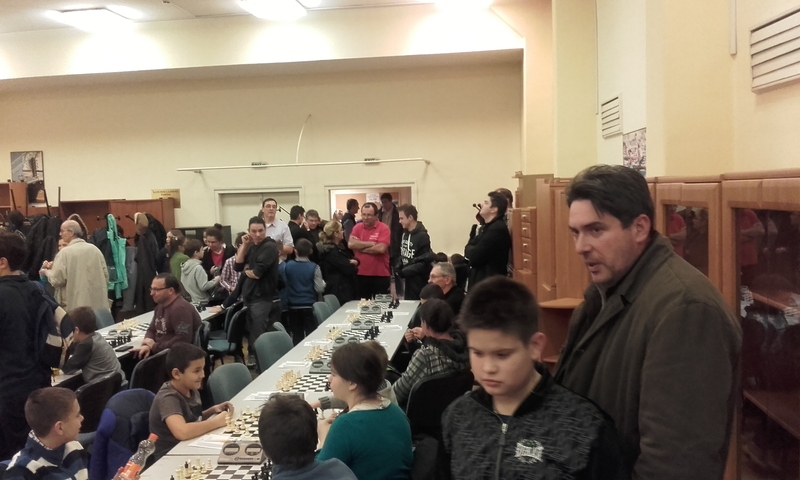 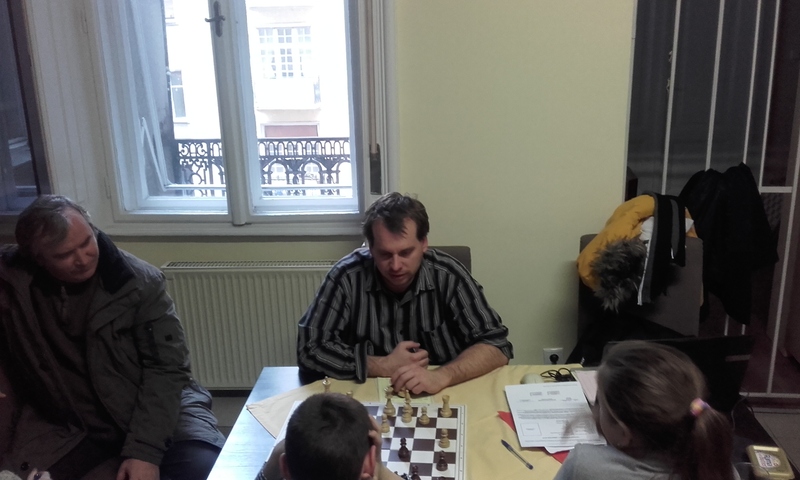 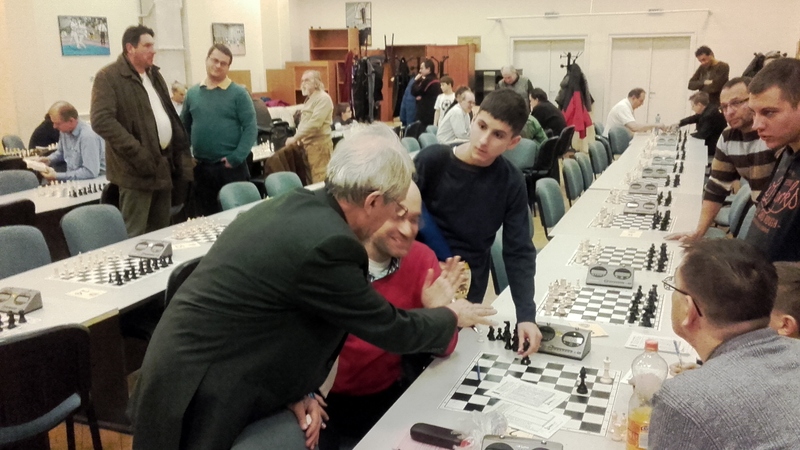 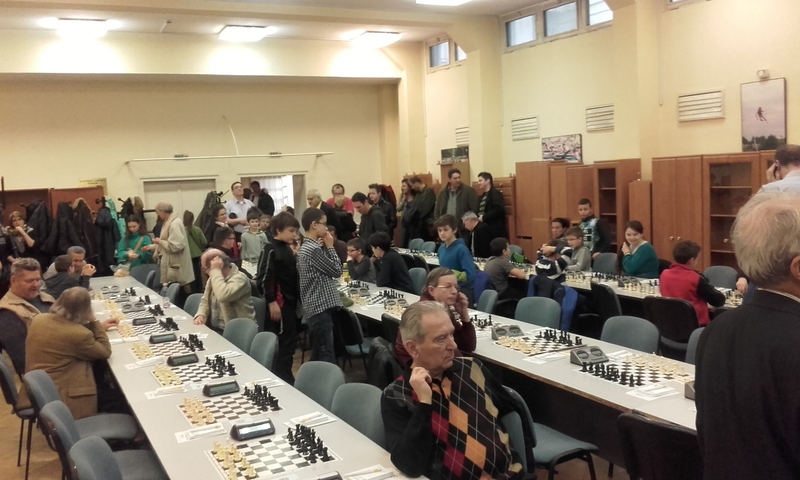 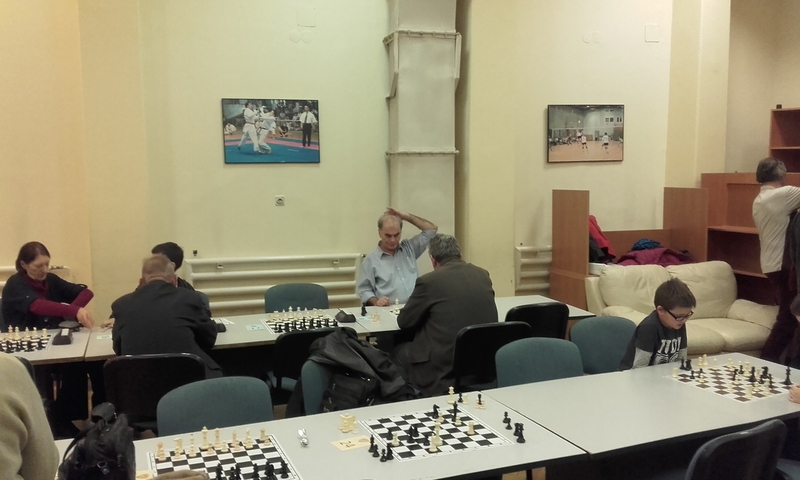 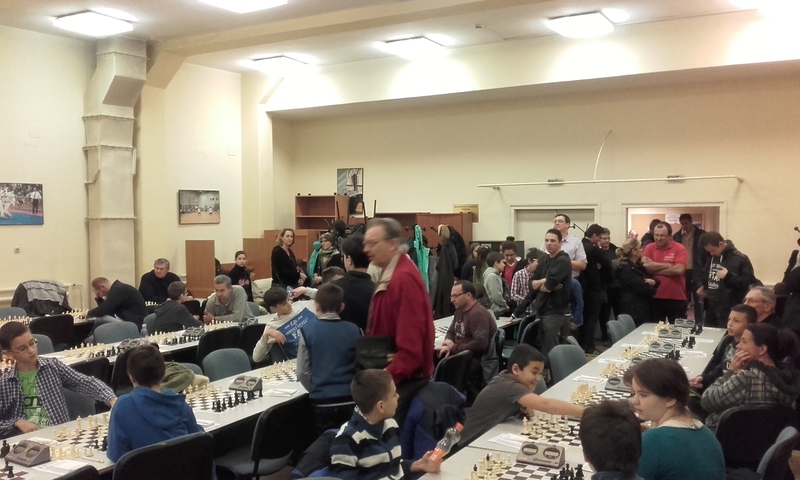 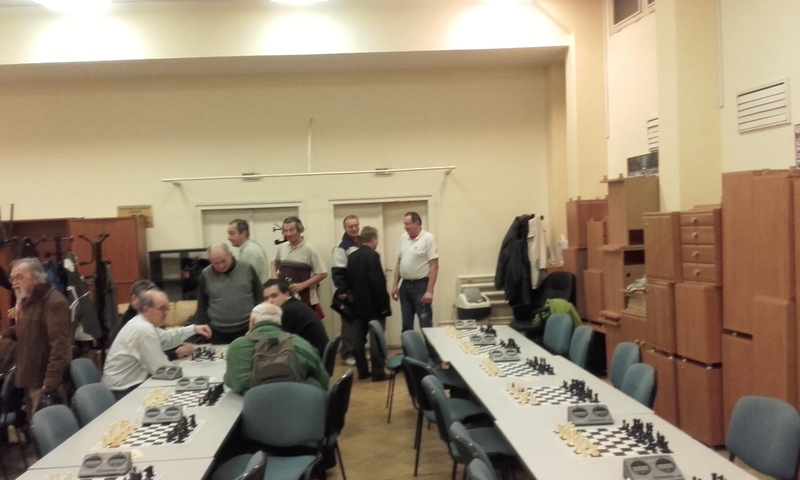 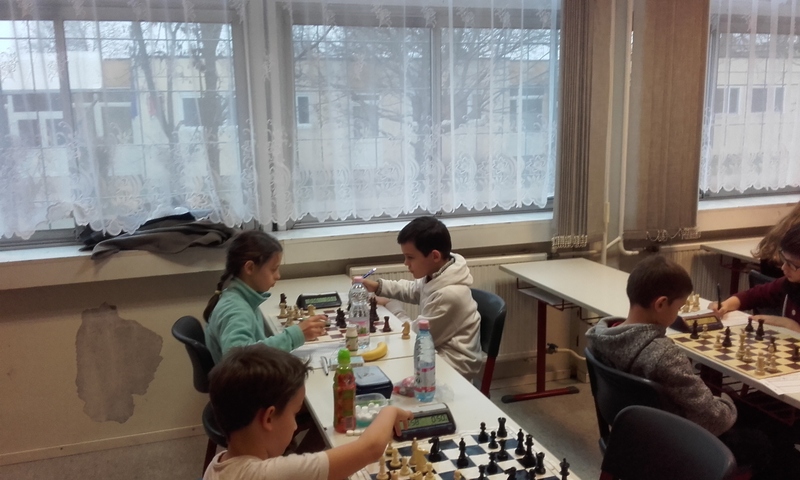 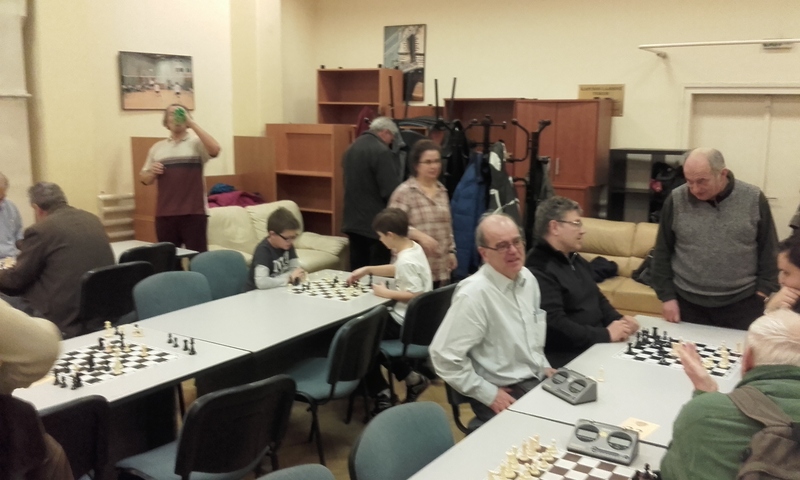 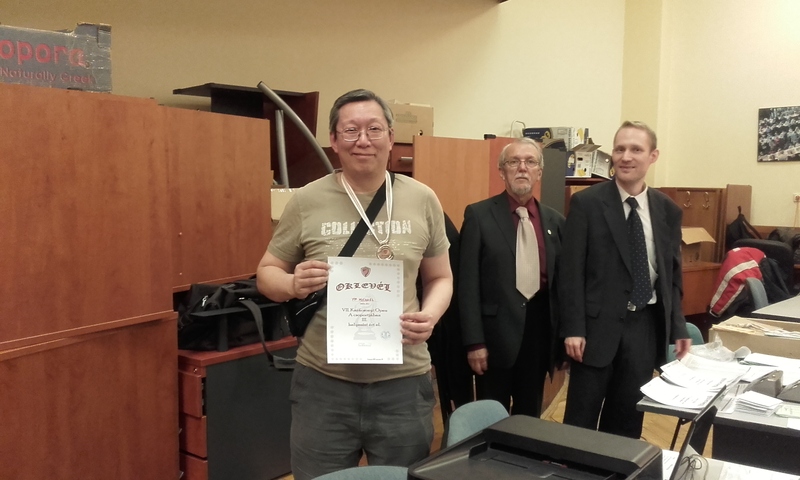 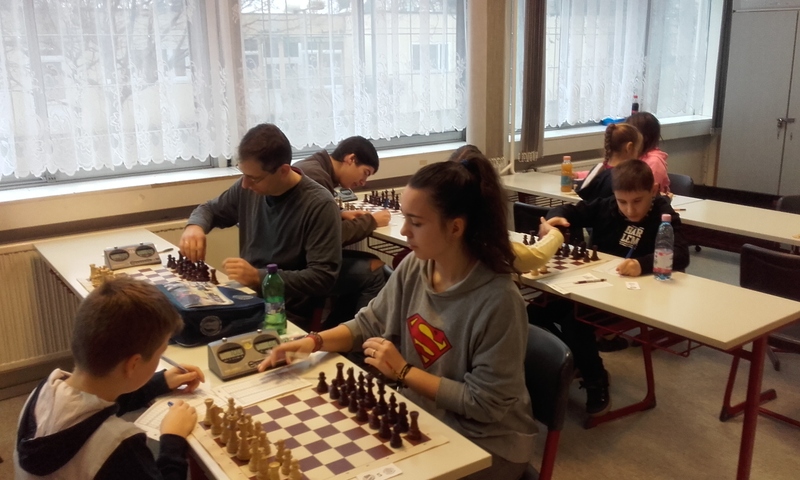 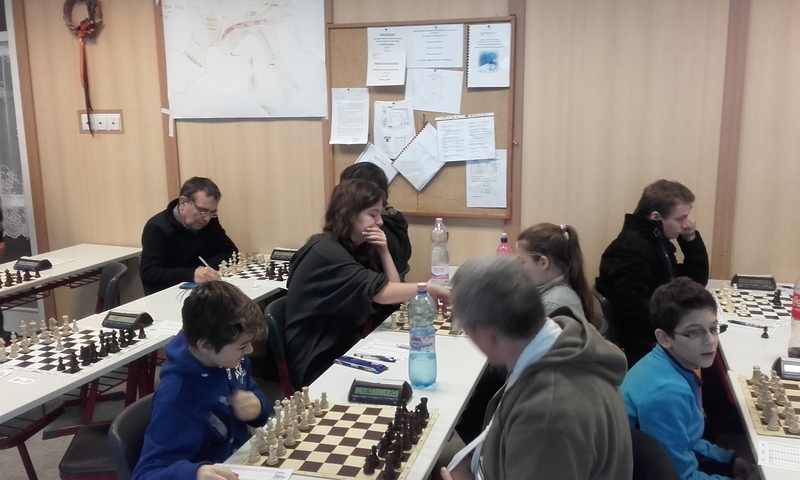 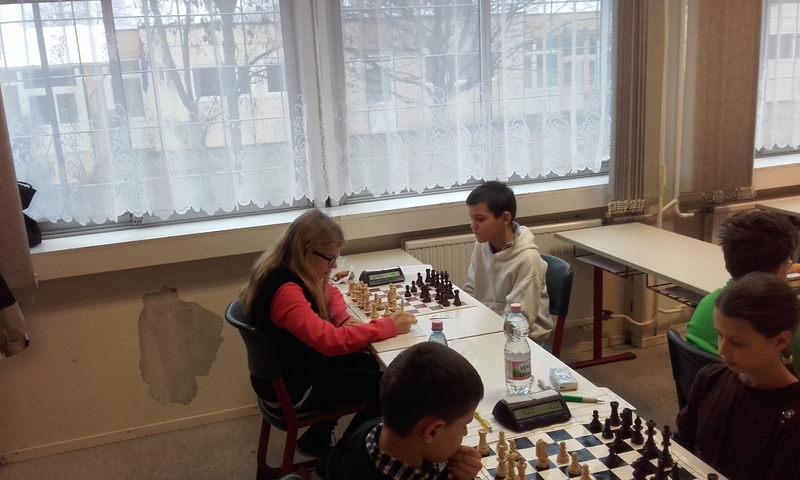 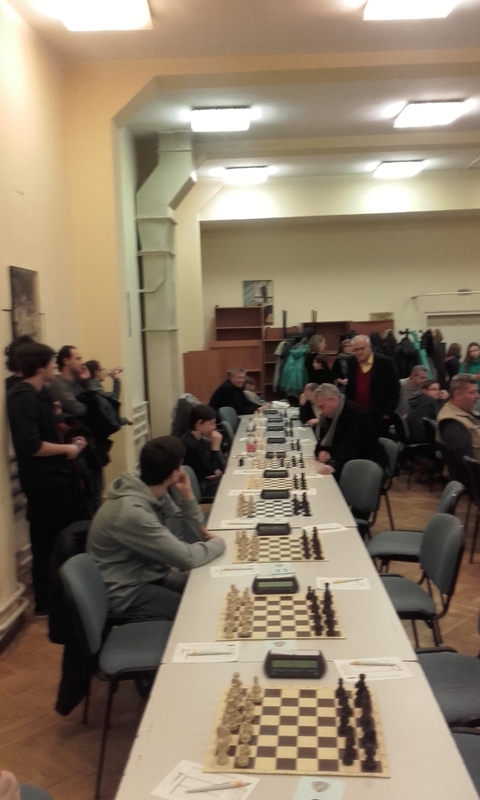 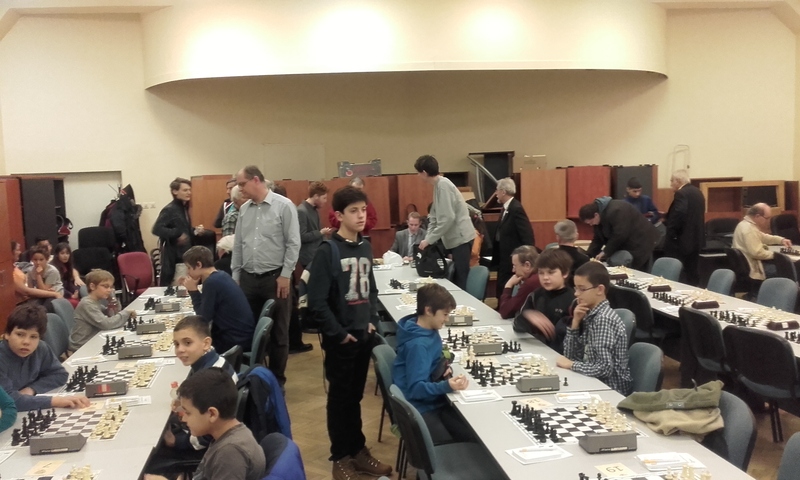 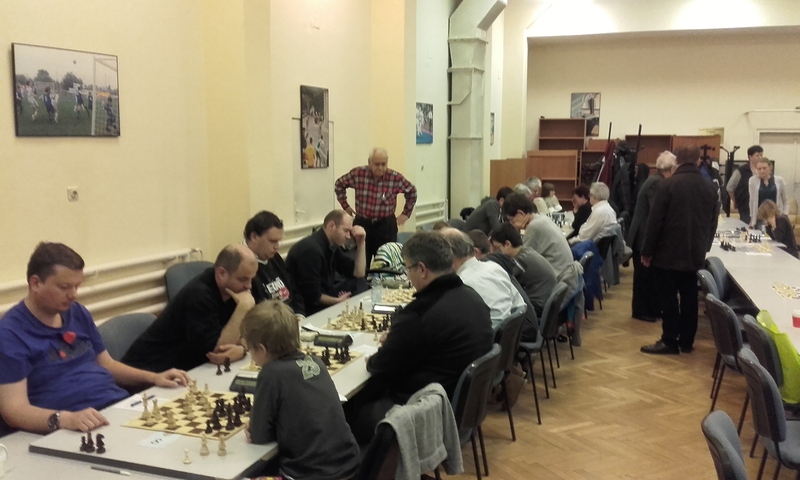 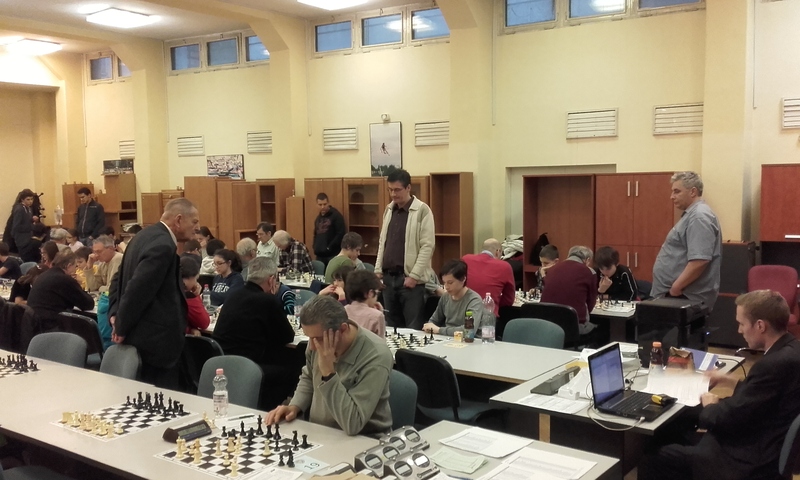 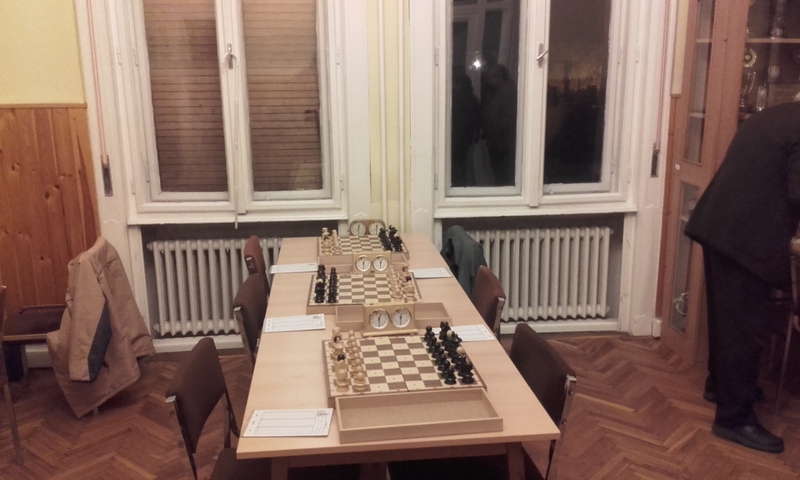 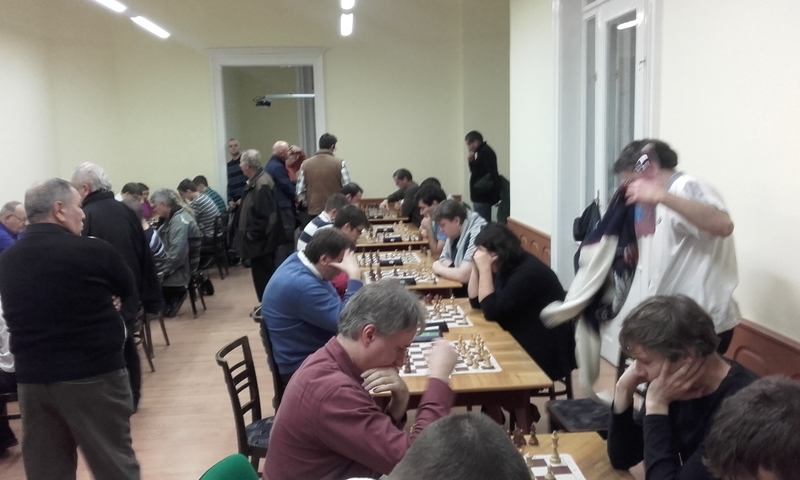 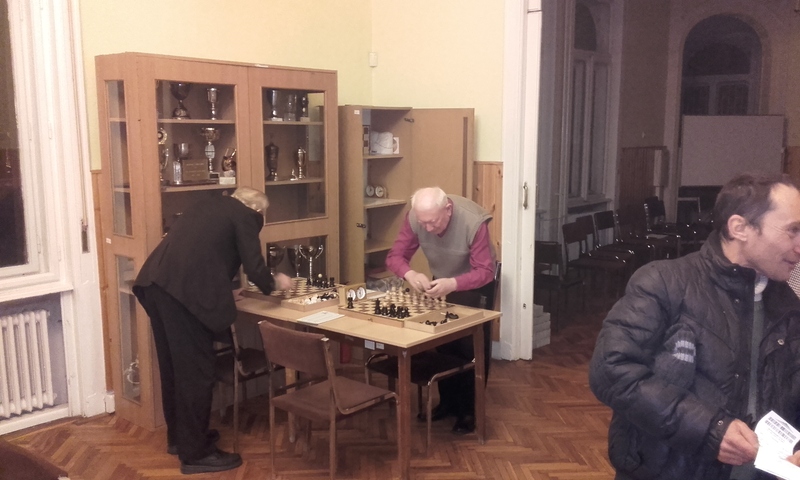 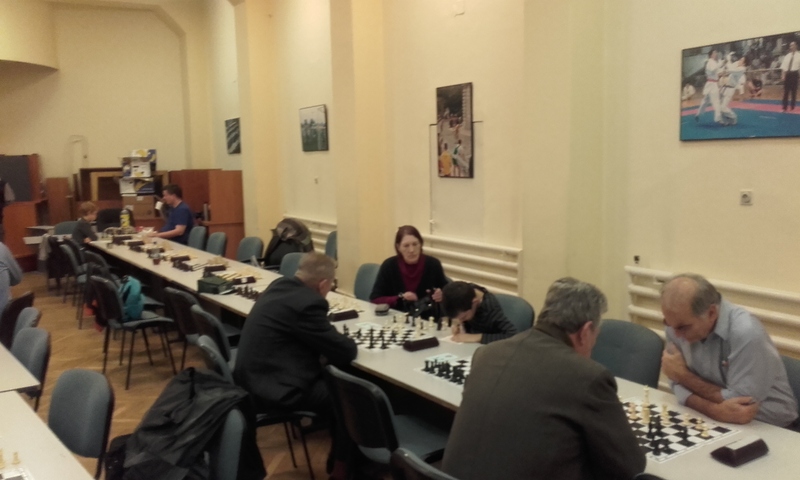 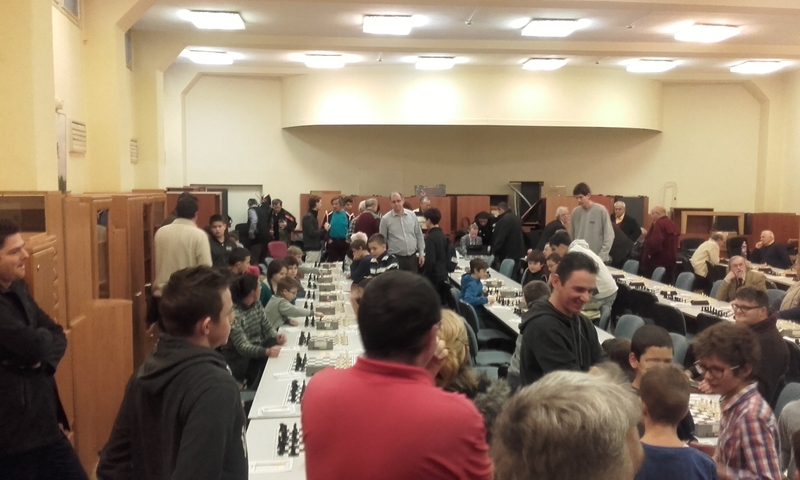 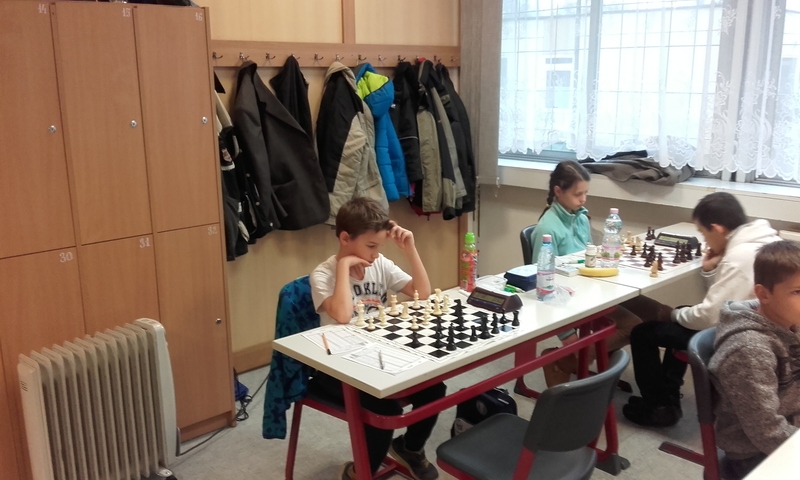 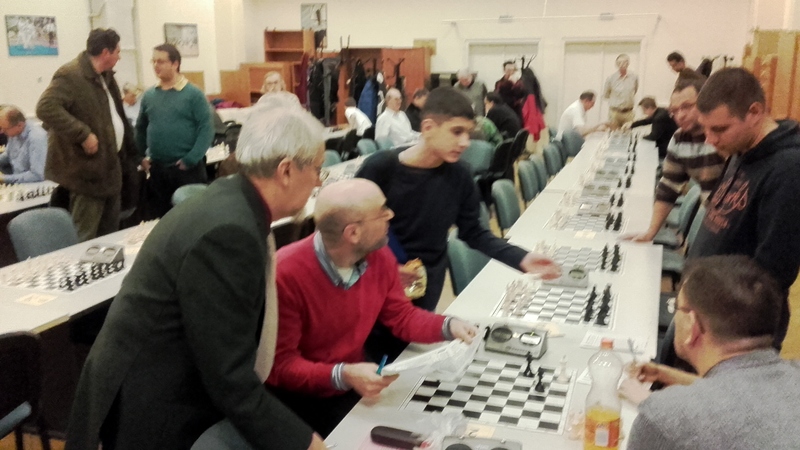 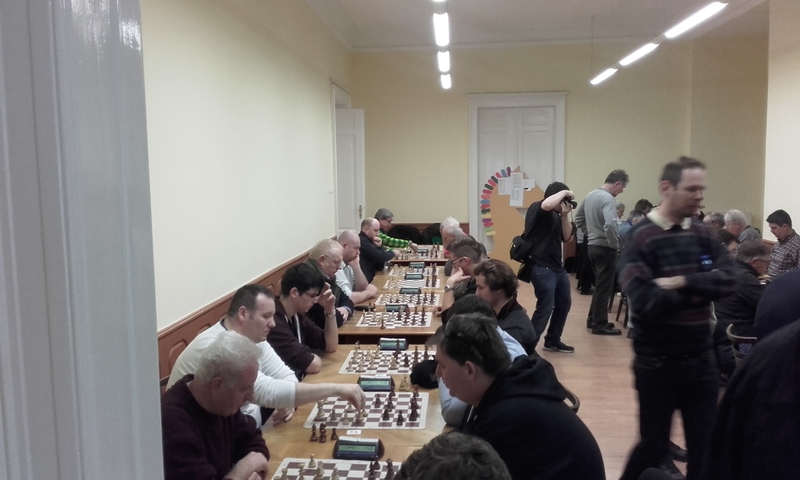 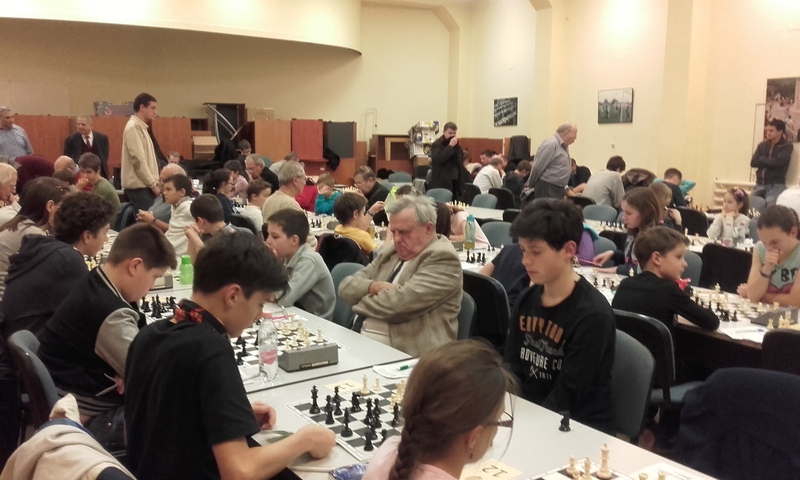 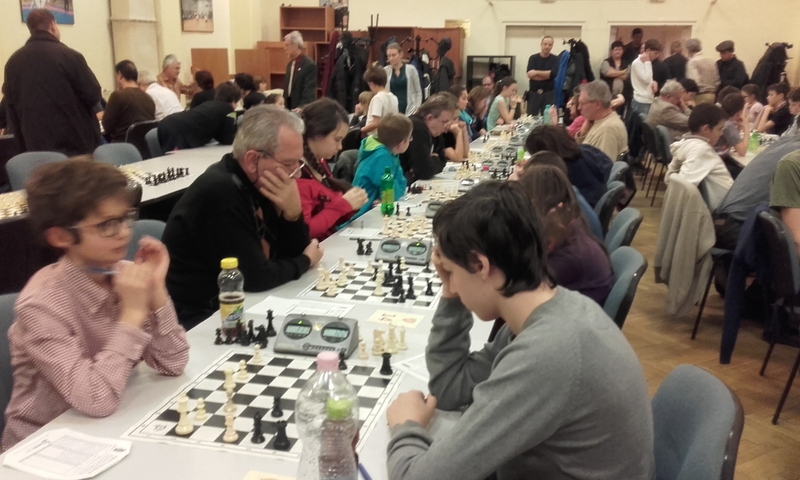 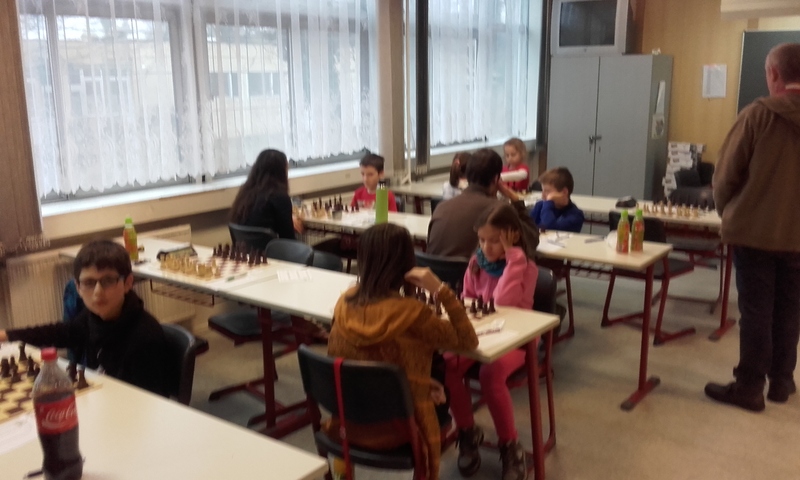 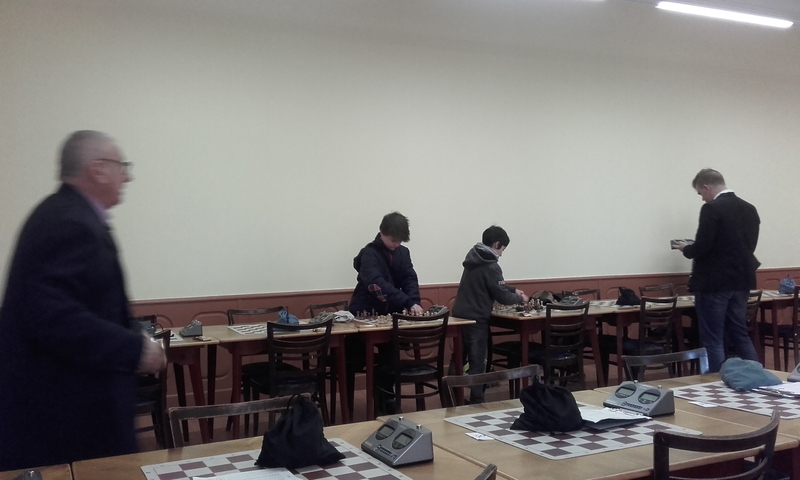 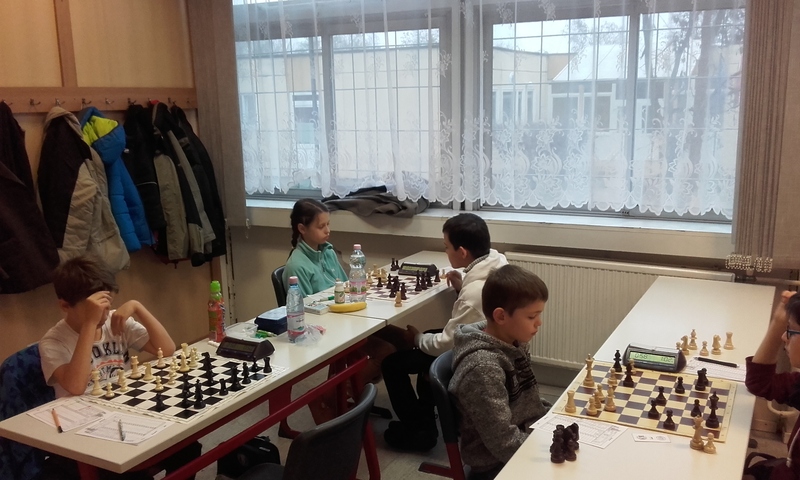 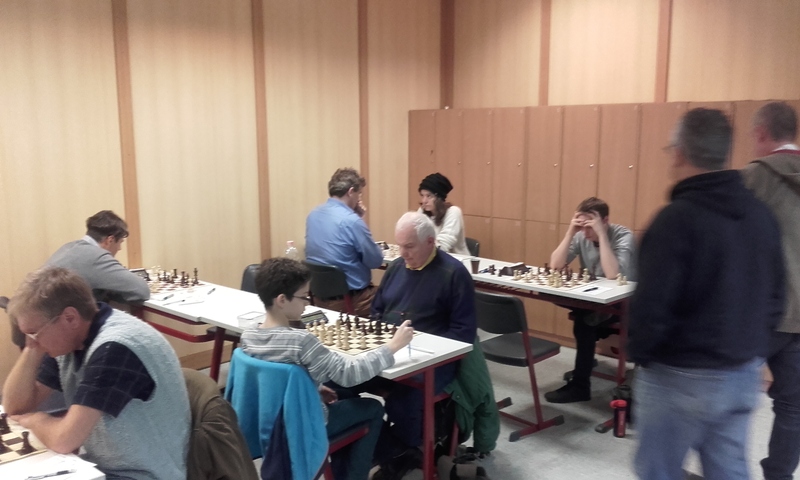 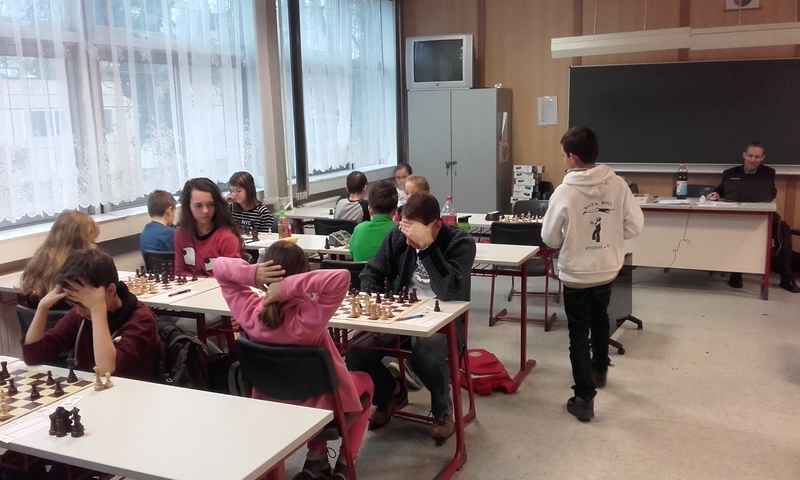 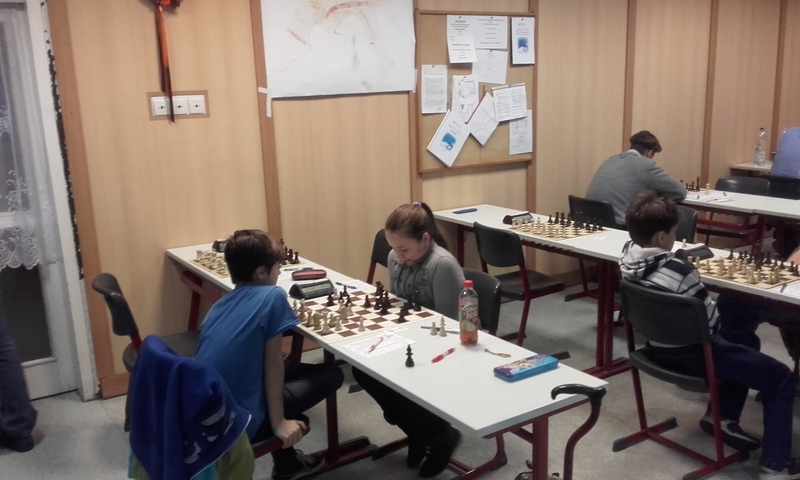 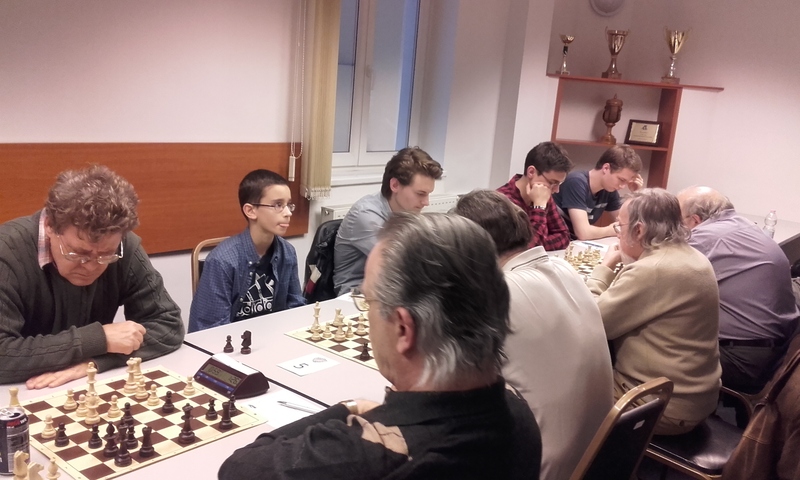 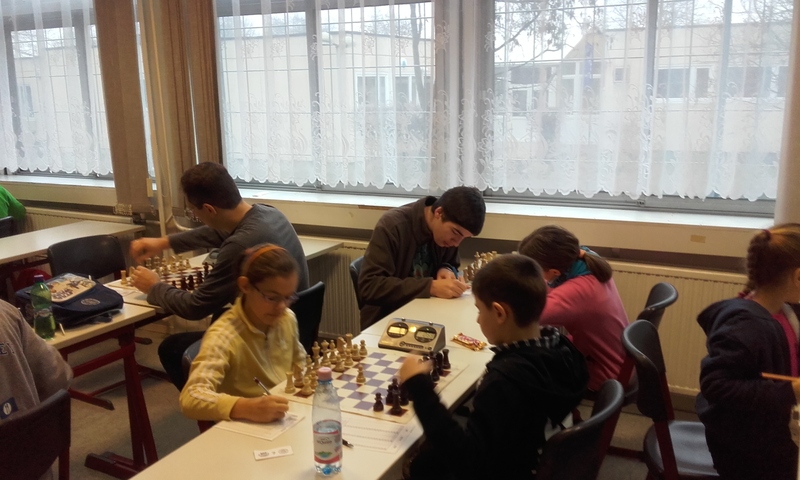 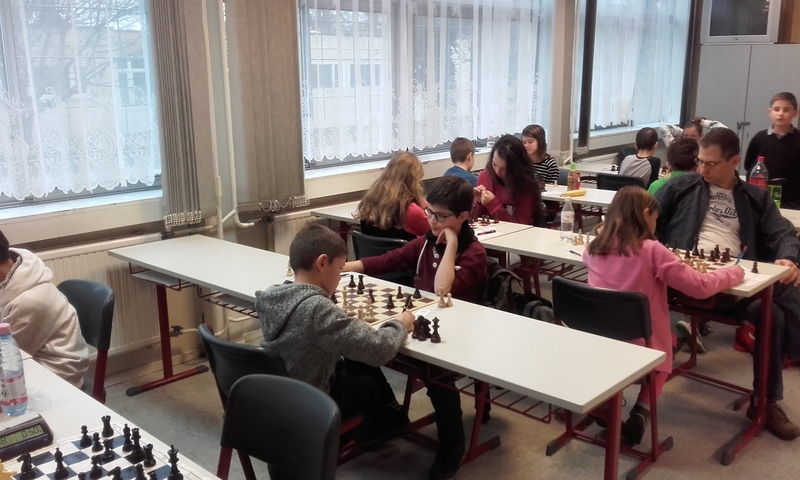 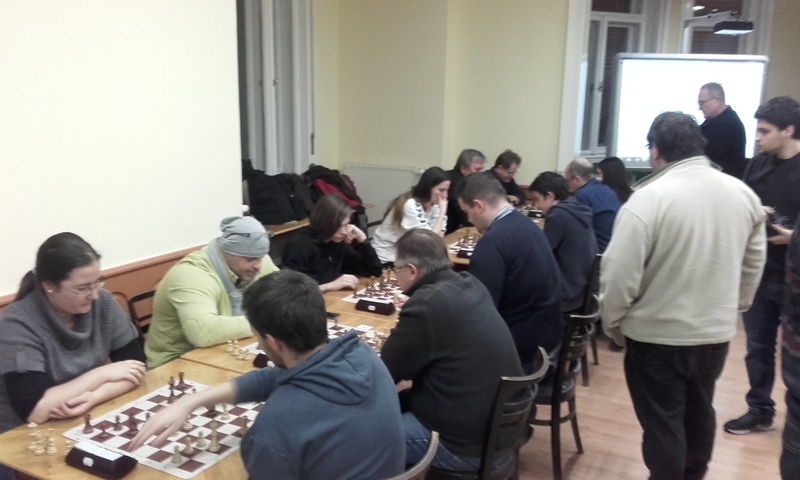 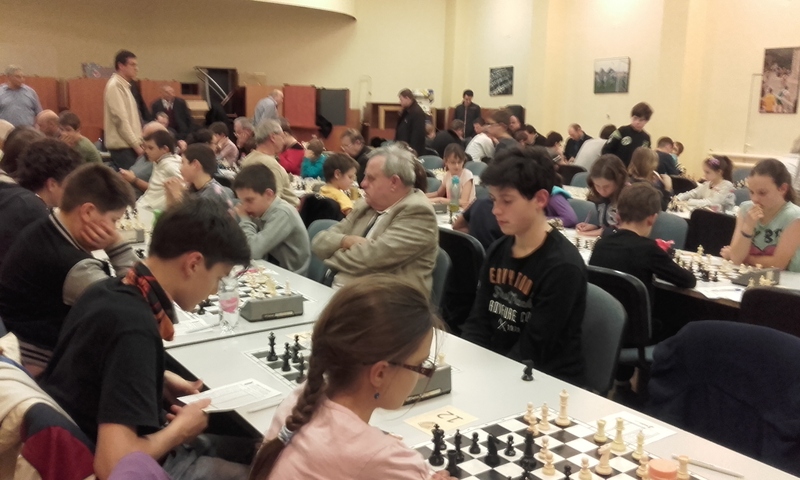 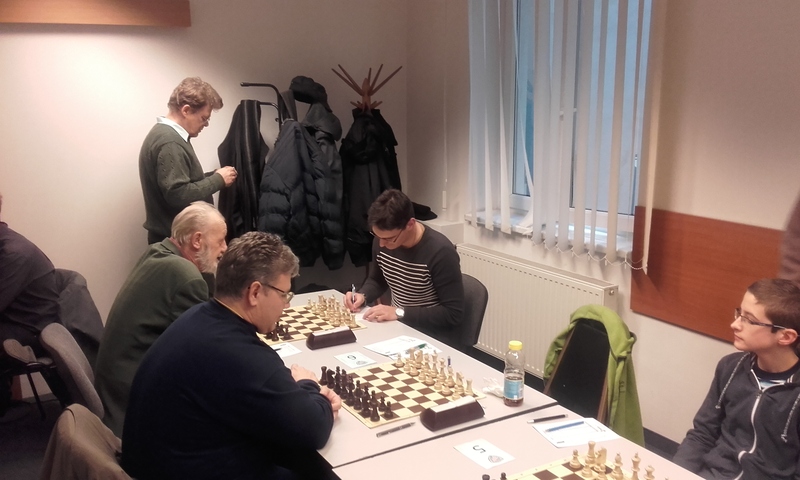 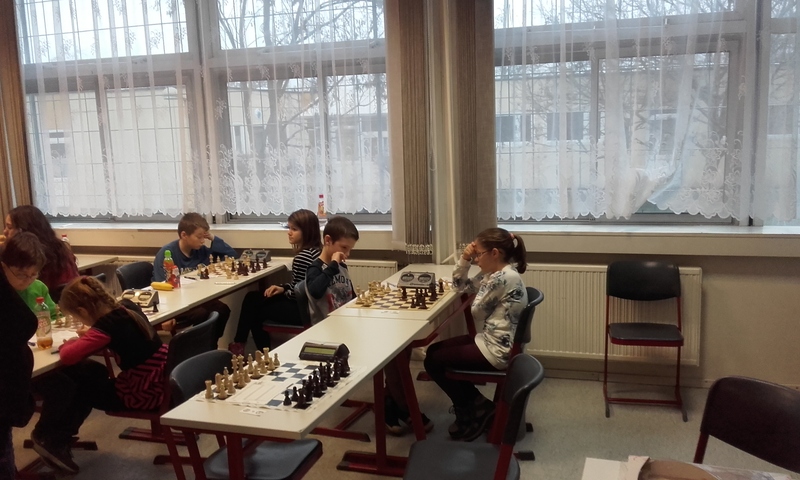 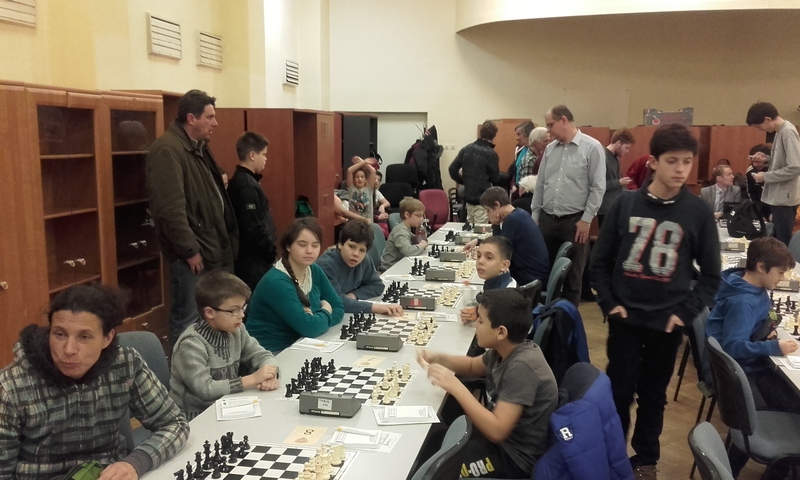 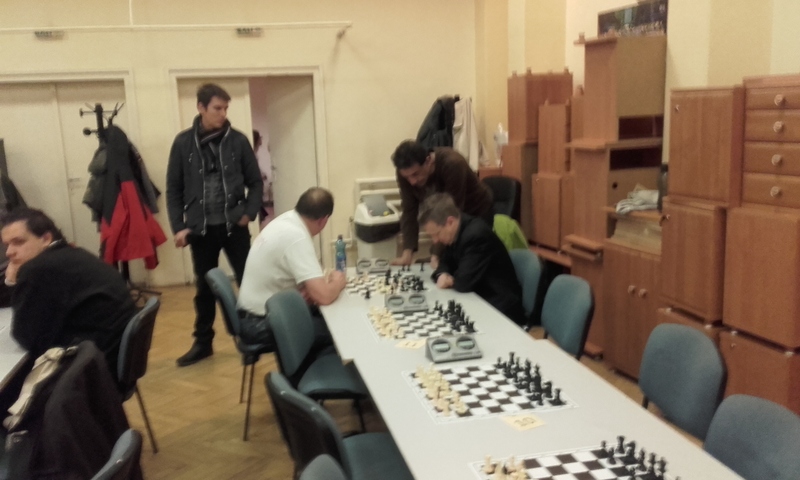 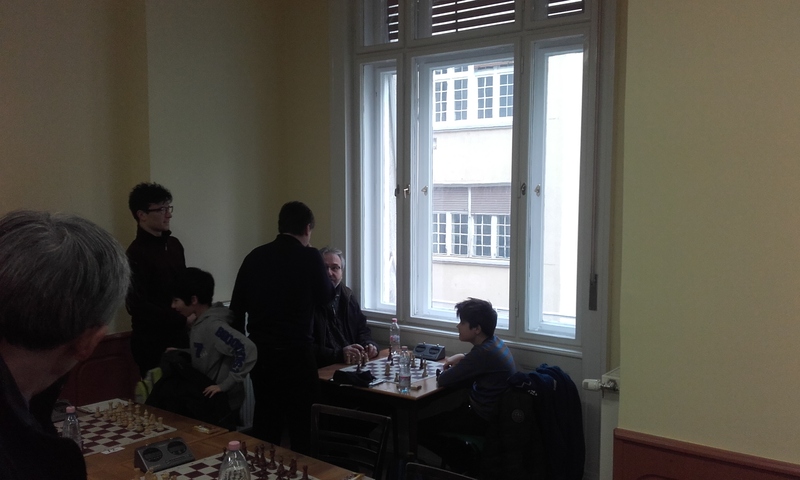 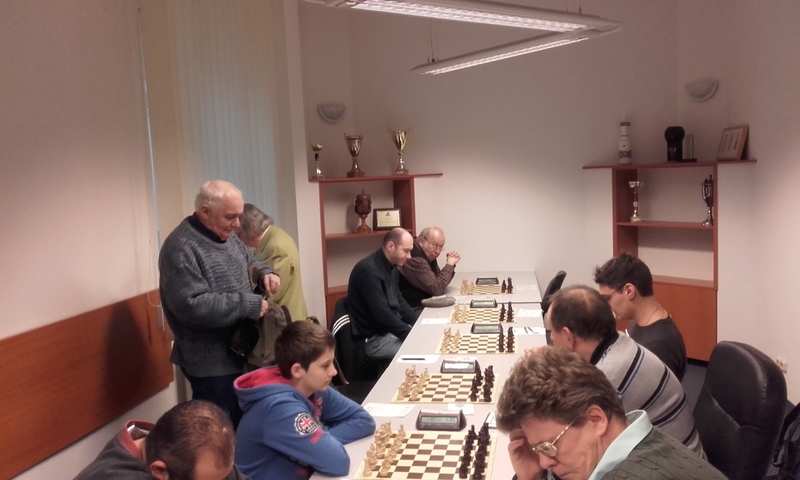 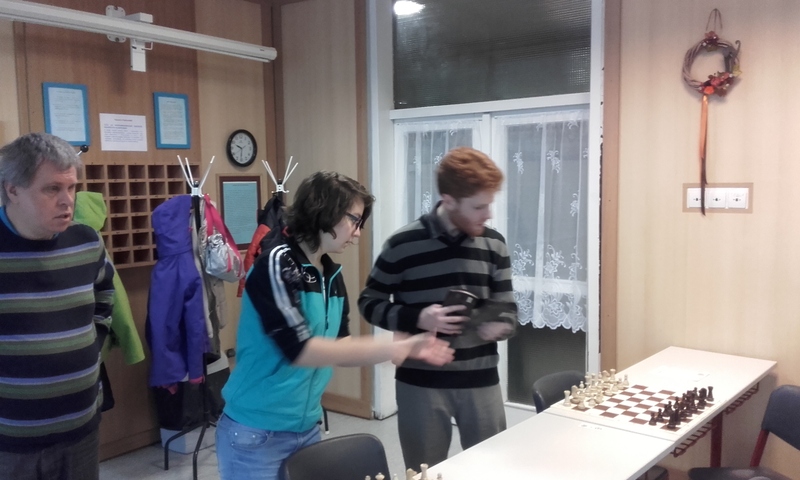 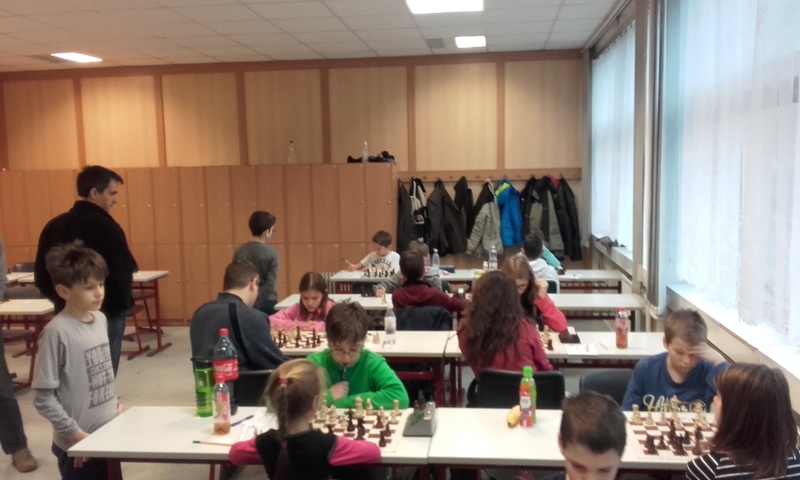 It is not so easy to keep a 2000 elo rating in Budapest if you play all the little opens where anything can go wrong. 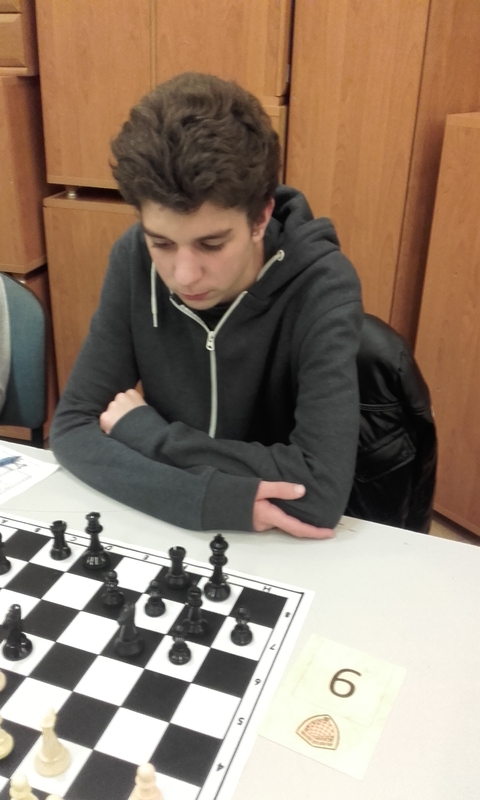 Csermely Zoltan took clear first with 6/7. 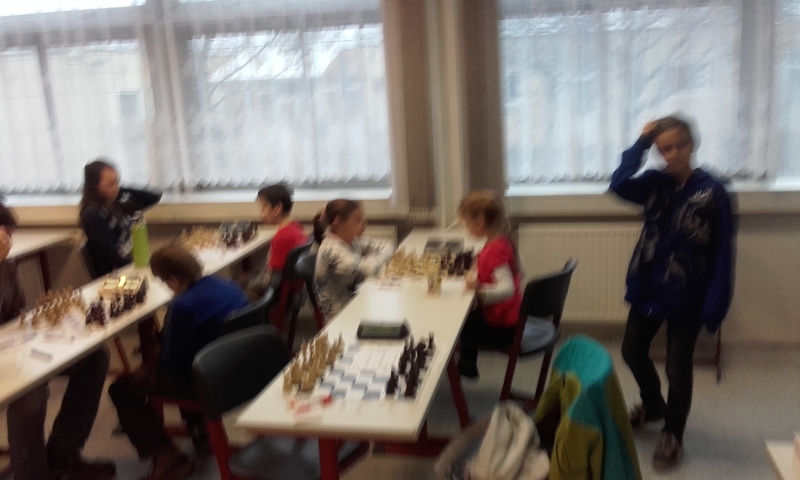 Were equal second with 5.5/7. 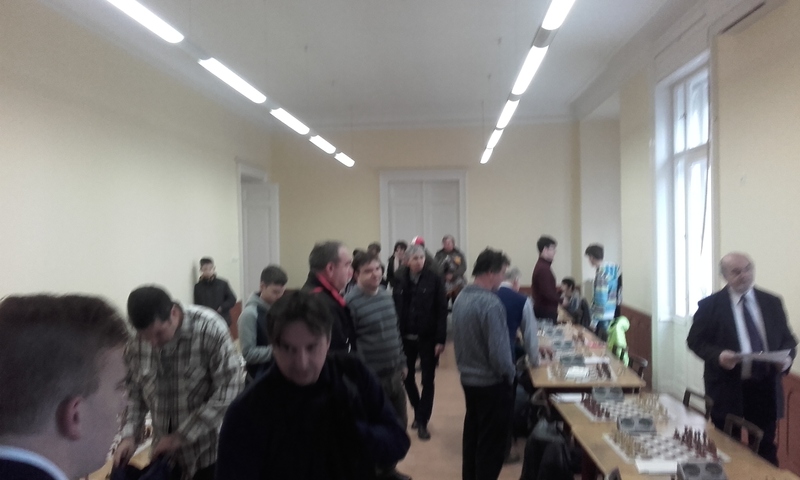 PS: More pics coming when I get some time to get organized and upload them. 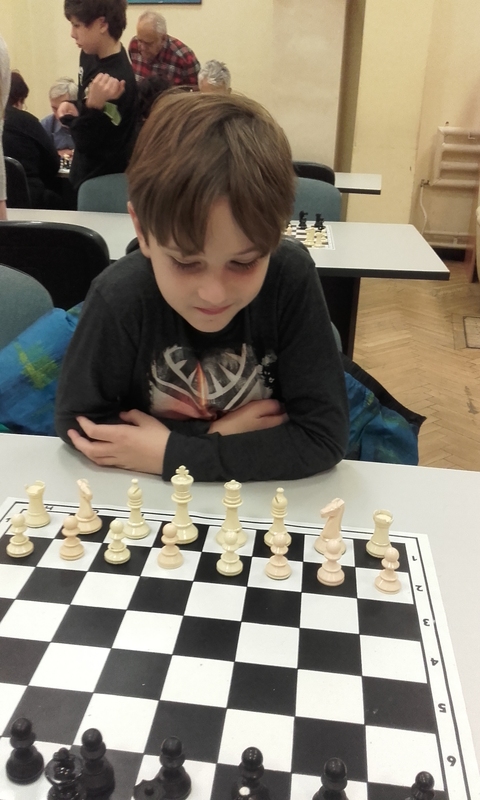 I contributed a quick win thanks to a gift in an equal position. 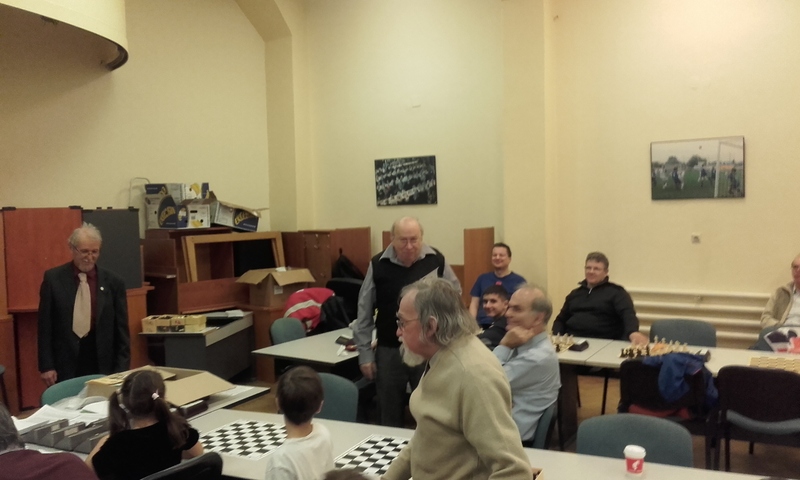 MTK played the Blind Institute on this chilly Monday evening. 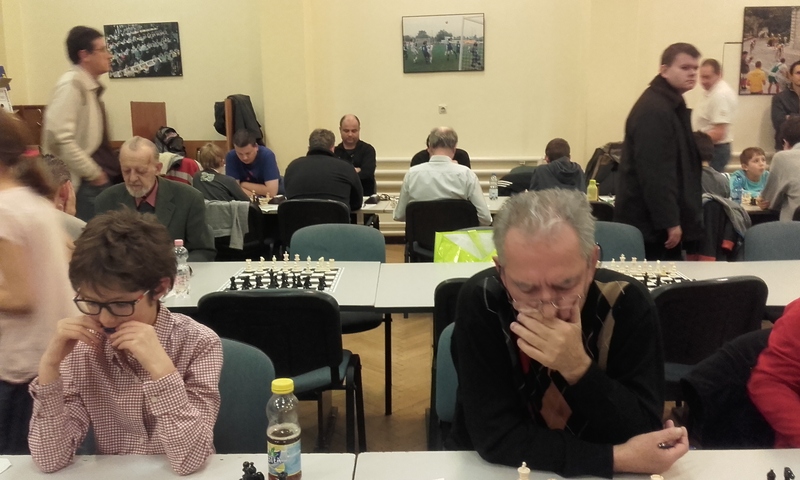 We played a man down and I don’t the final match score. 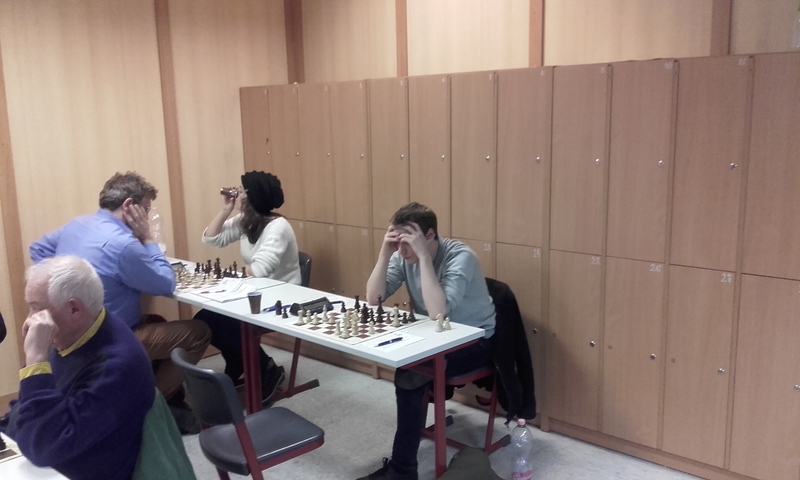 Black has an extra piece and one may be excused for wondering what the problem could possibly be. 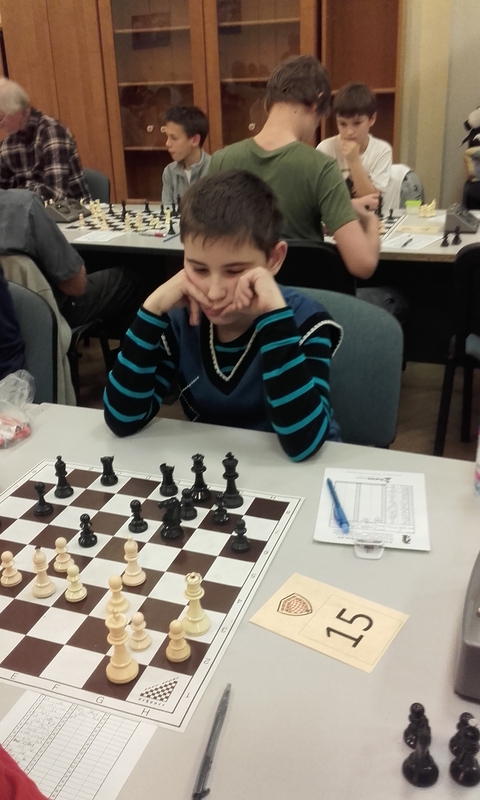 I found the almost magical tactic of winning a pawn with 18..Bxf2?? 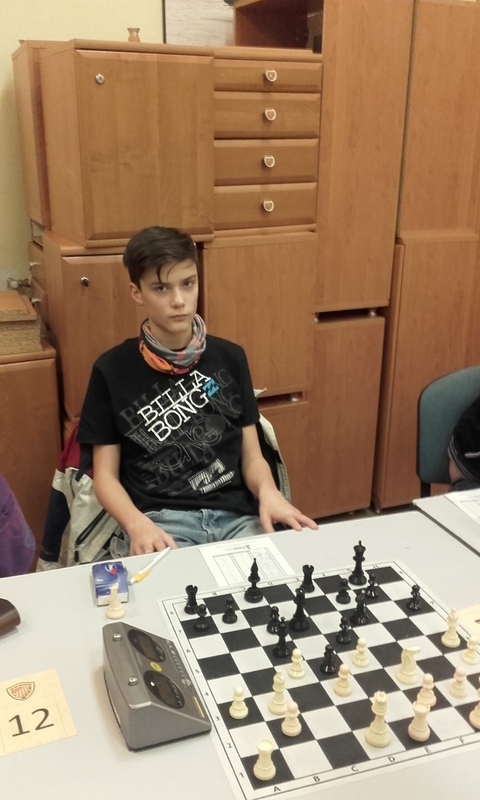 when there a couple of ways to just keep the extra piece. 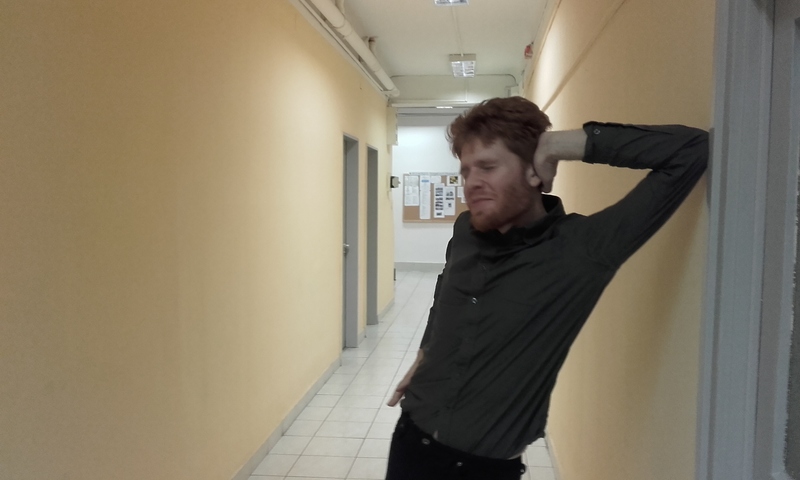 There is no real explanation. 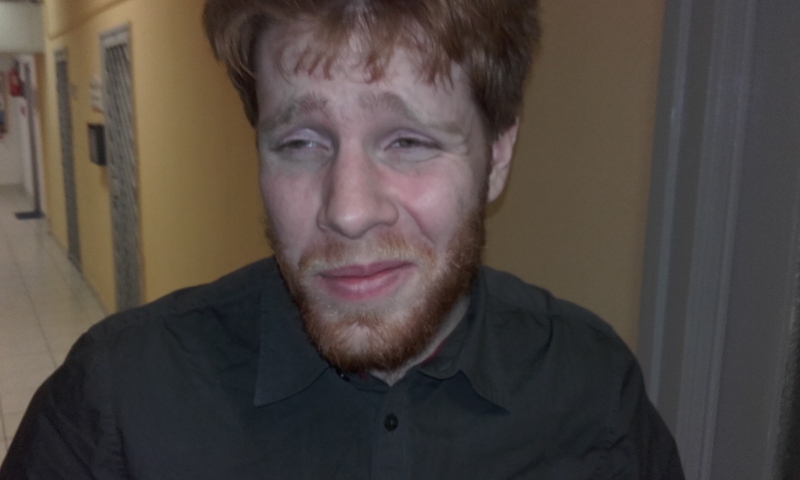 Yip was just no good. 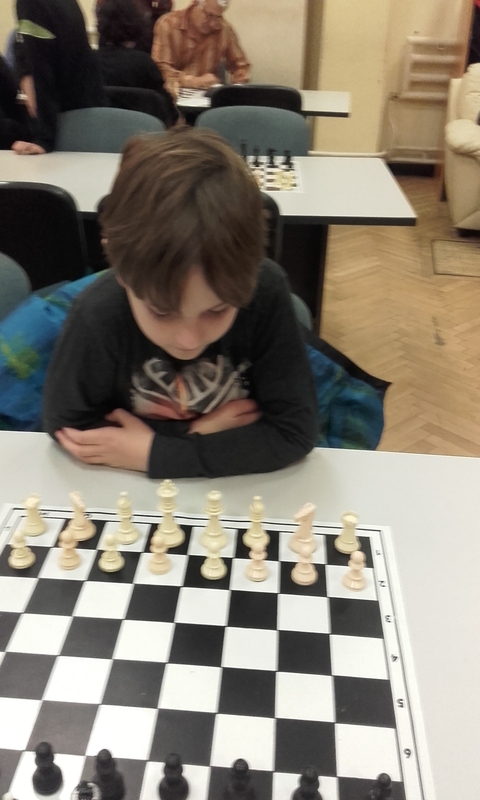 However, my opponent blundered a piece later to even the scales of Xmas justice and I won. 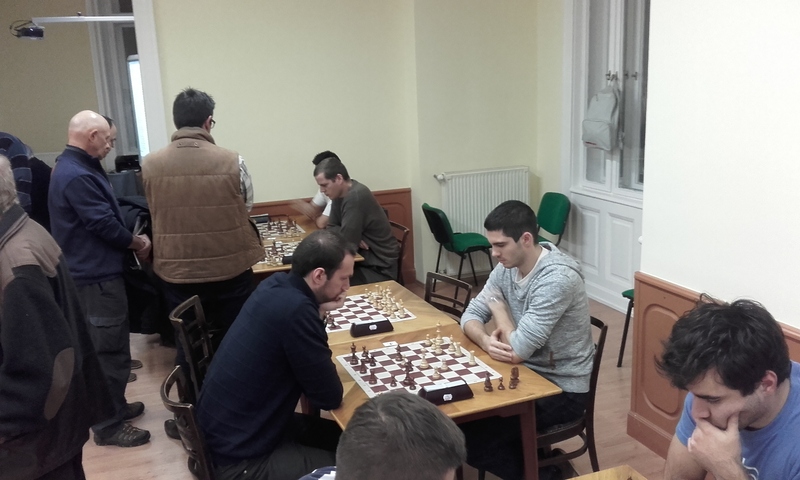 All MTK teams won today. 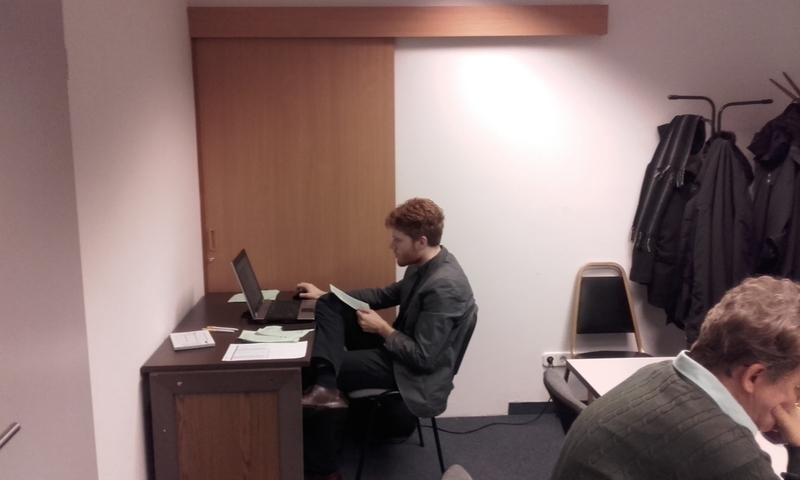 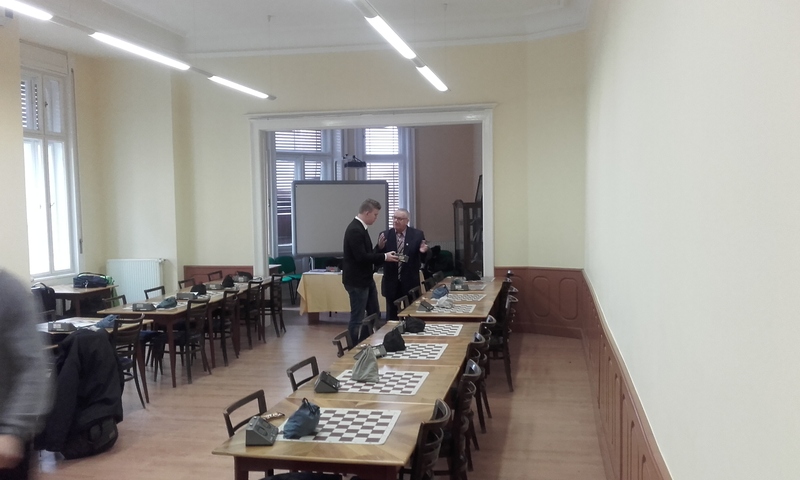 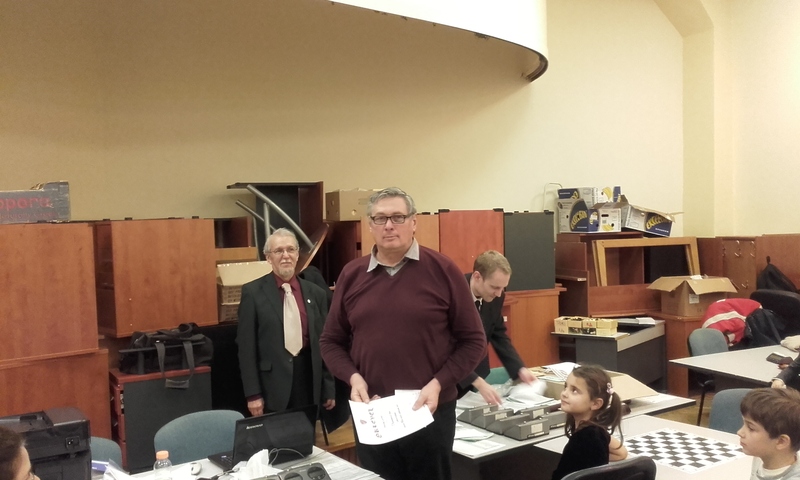 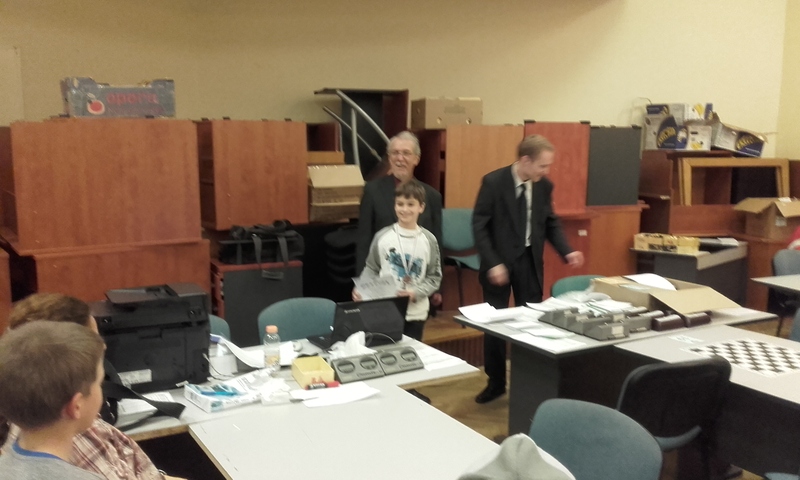 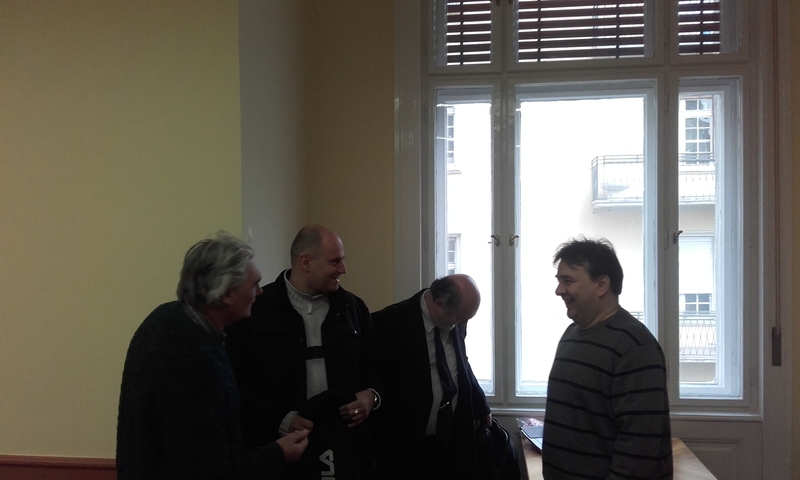 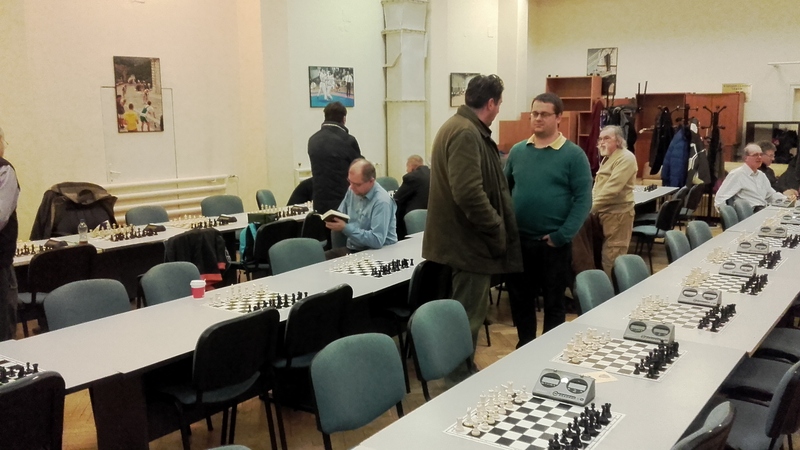 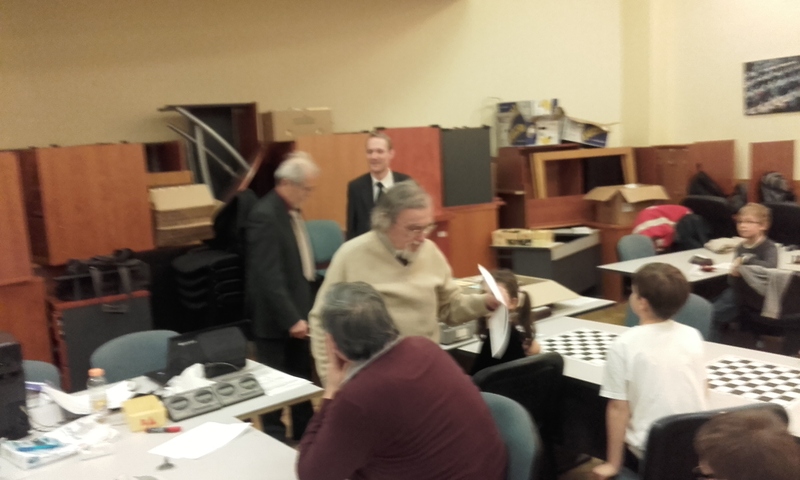 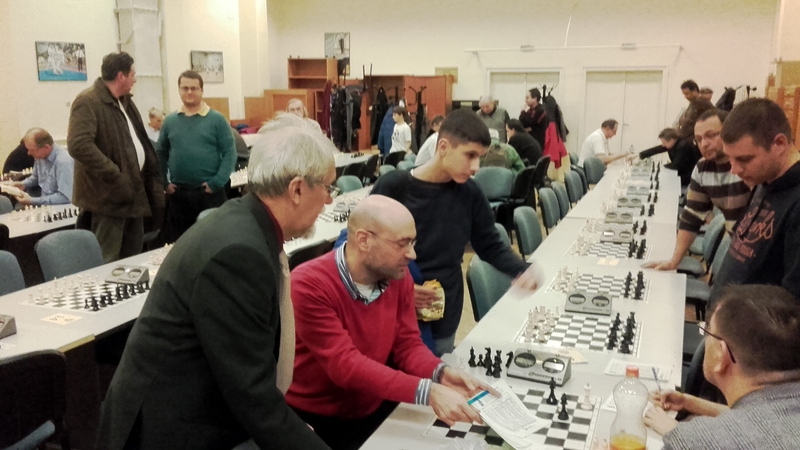 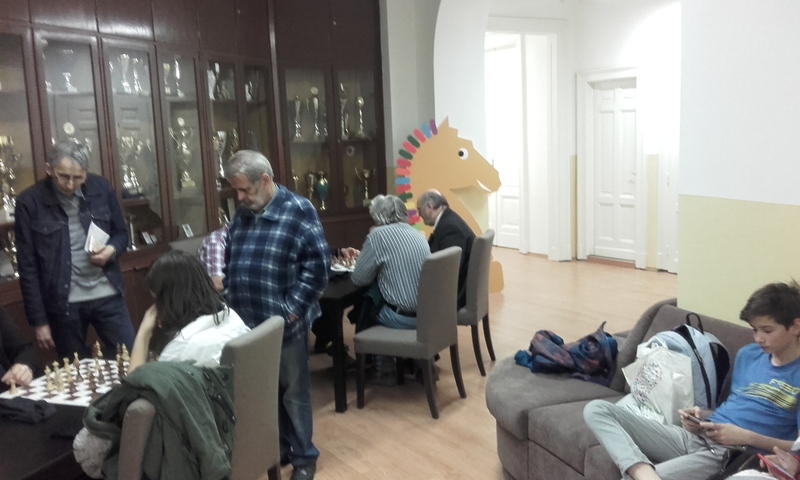 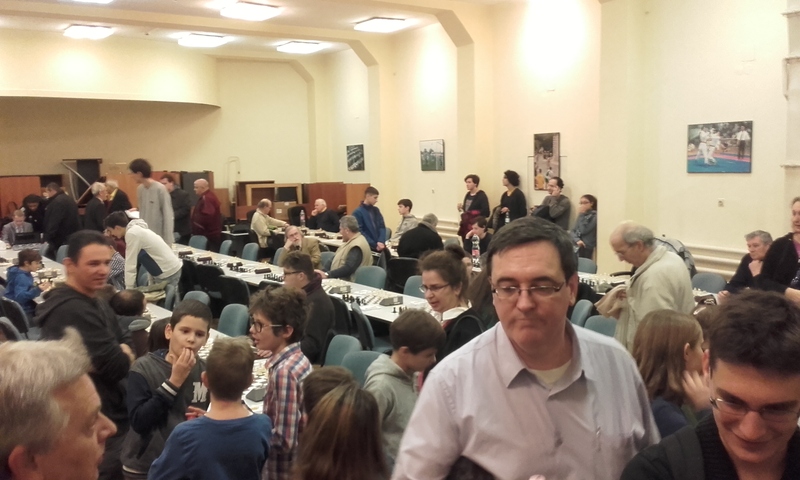 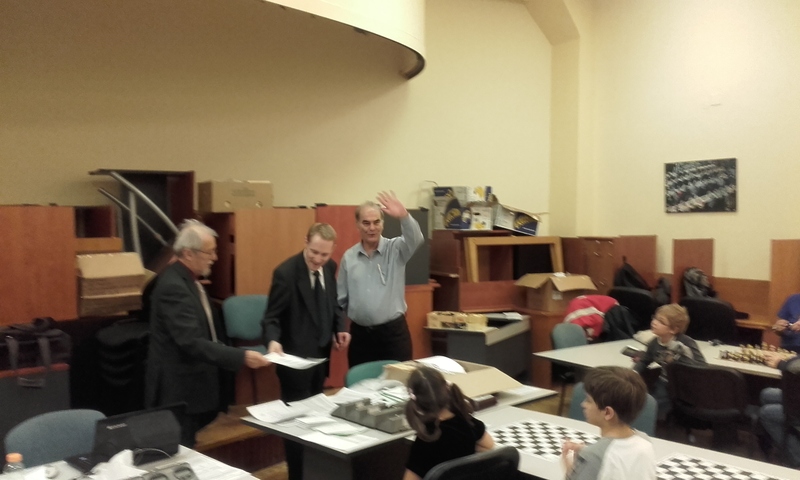 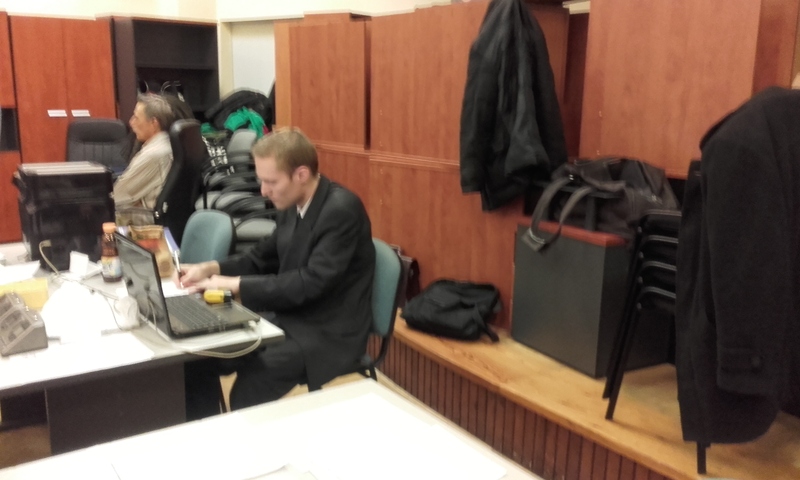 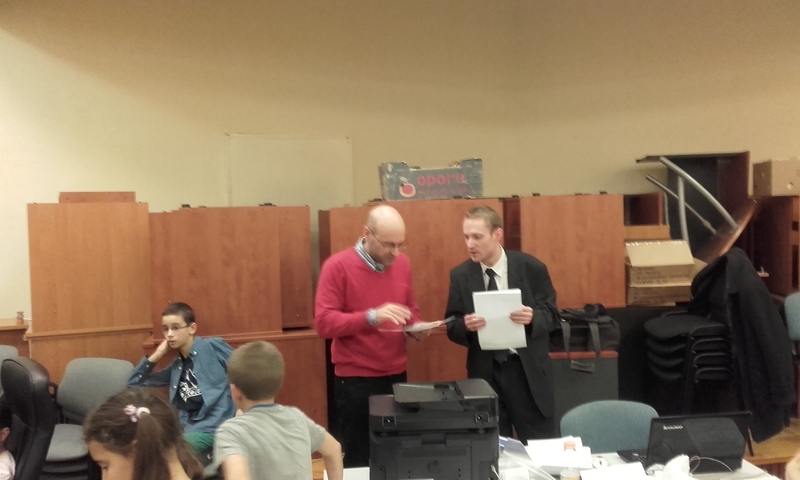 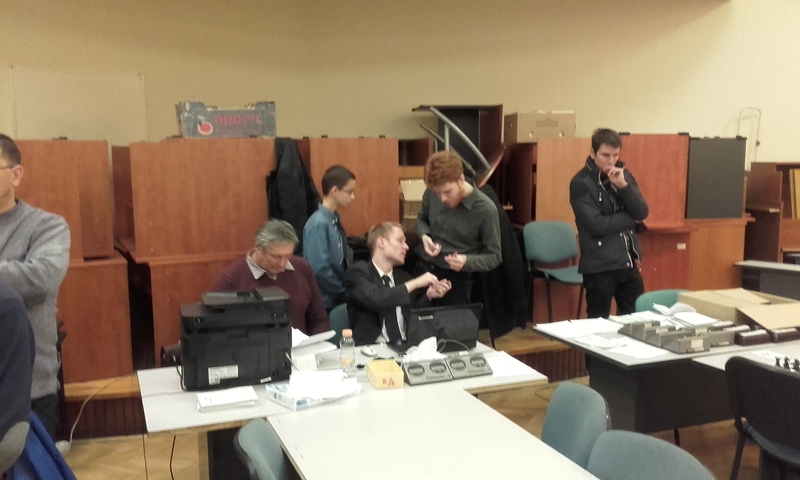 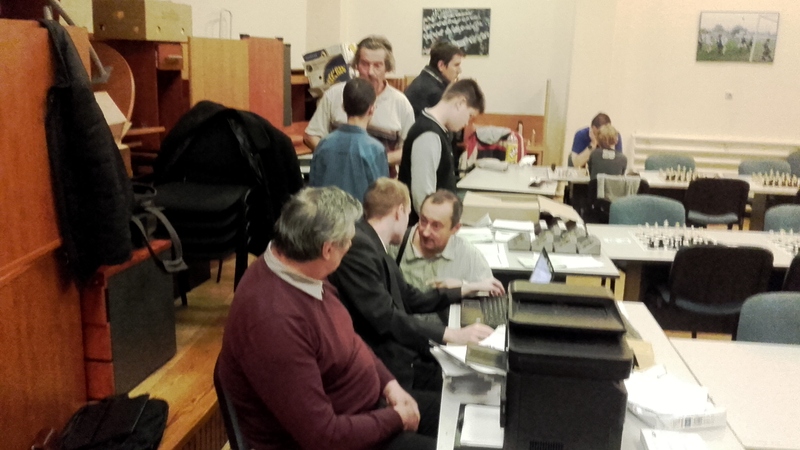 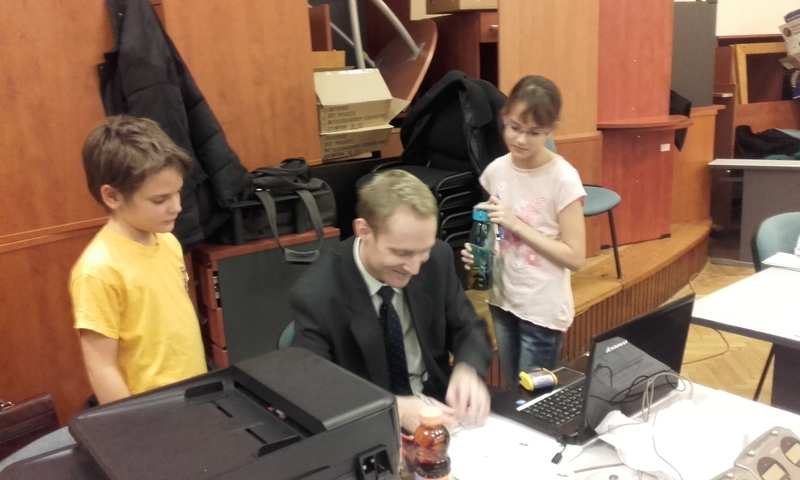 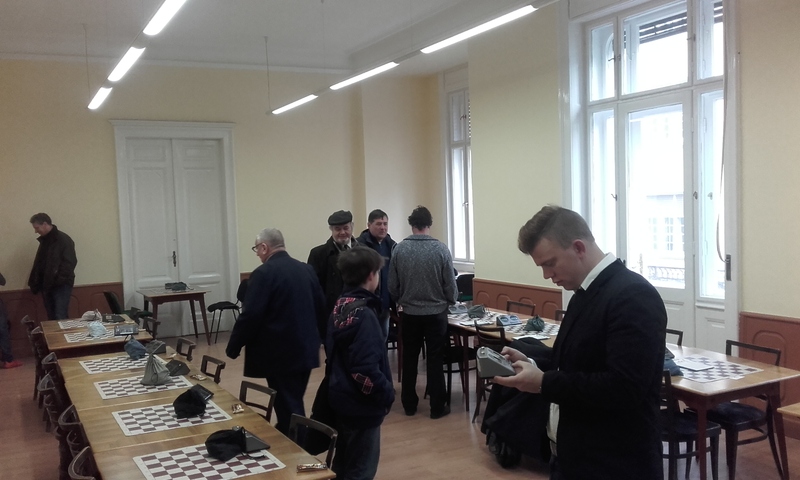 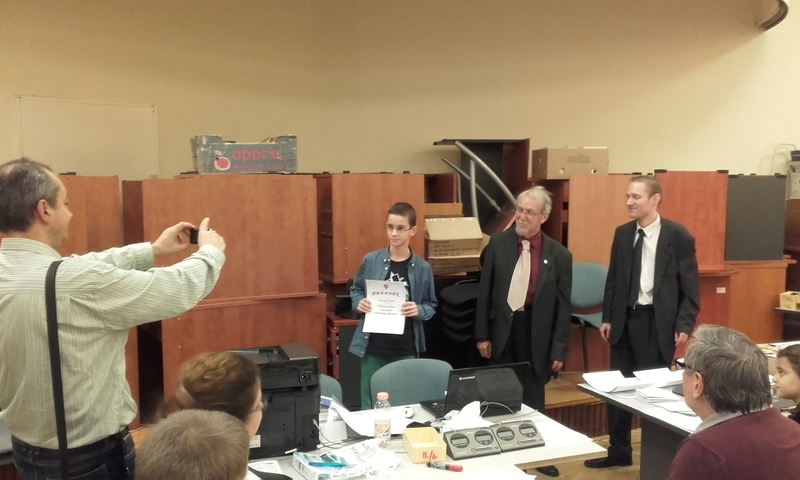 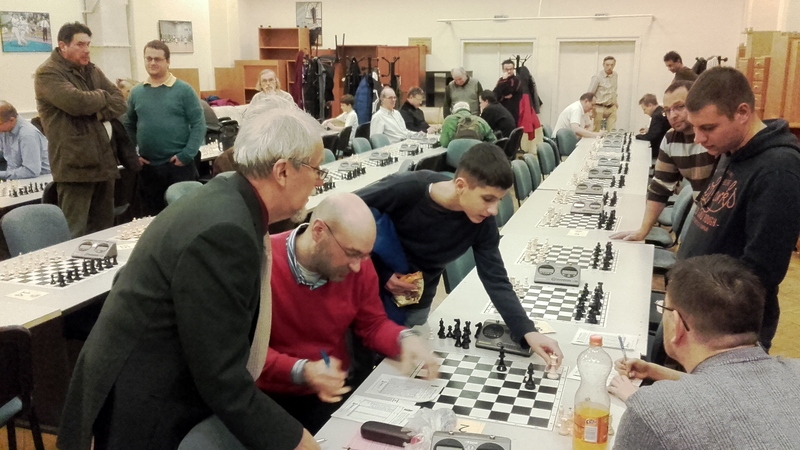 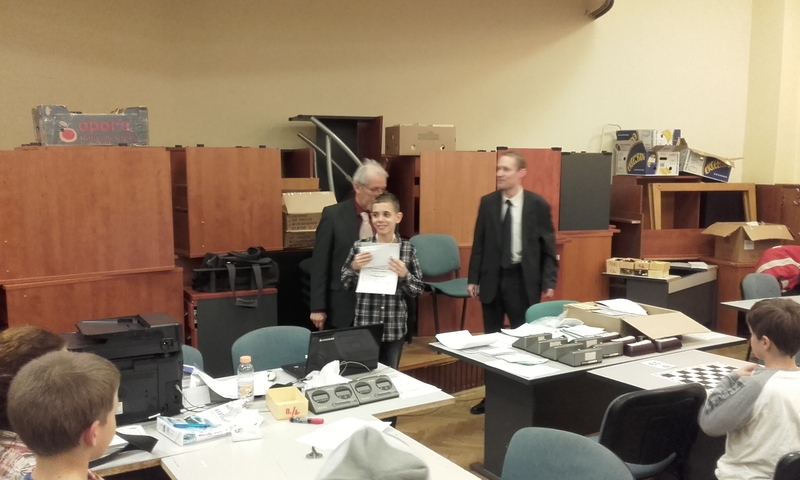 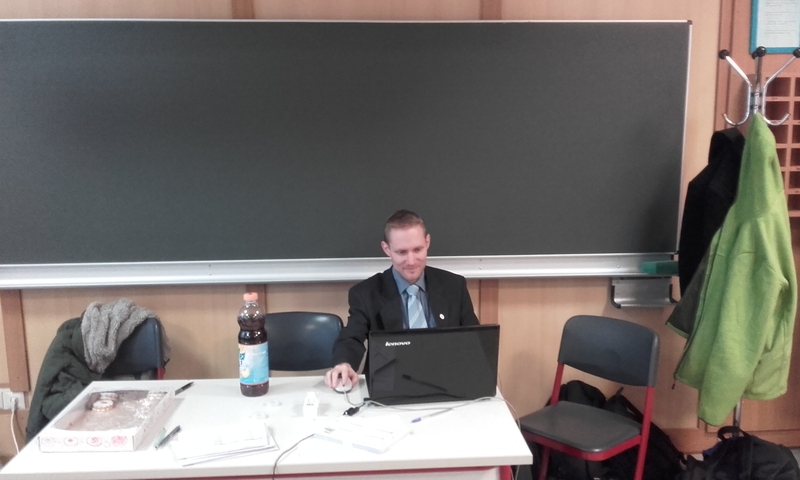 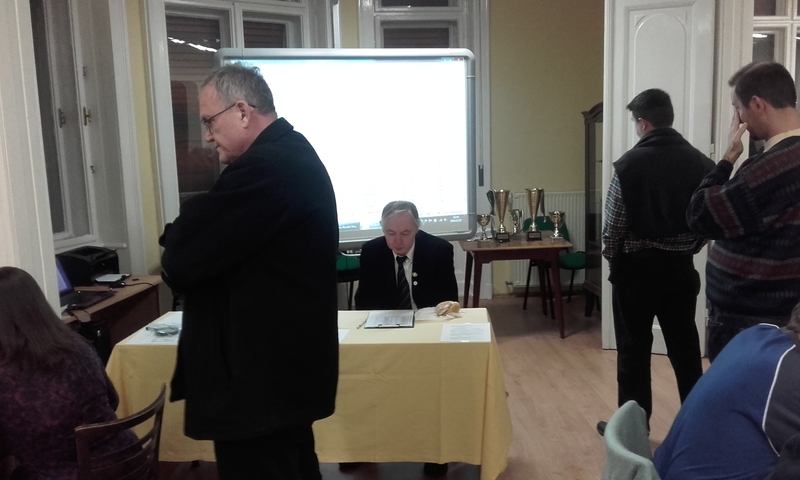 I was promoted to board 1 at the last moment and contributed a draw for MTK IV in today’s action at the Hungarian Chess Federation site. 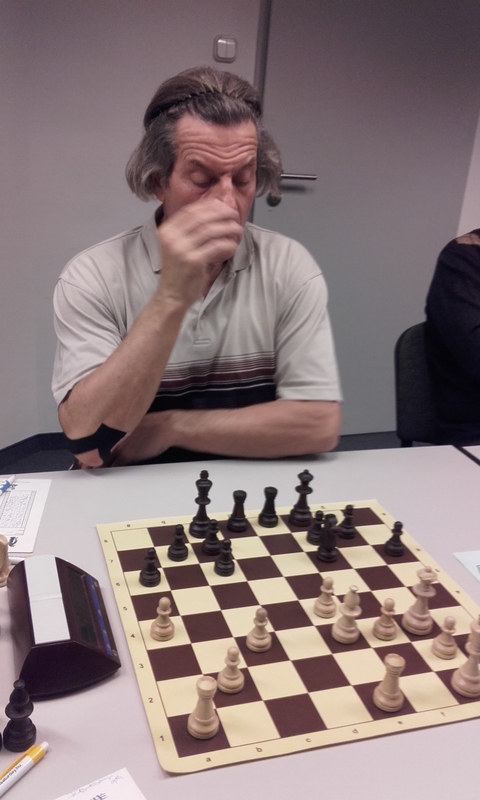 Even the Speed chocolate bar could not help me win the won position. 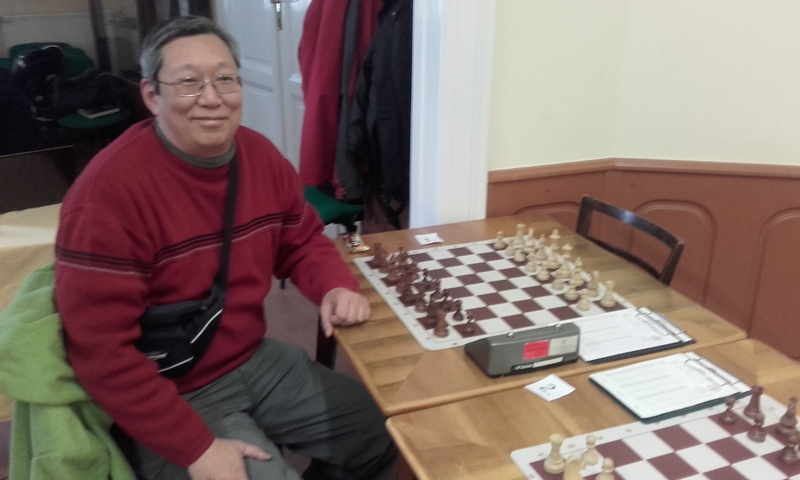 I won a pawn earlier due to a blunder but had to settle for a draw after a hard fight. 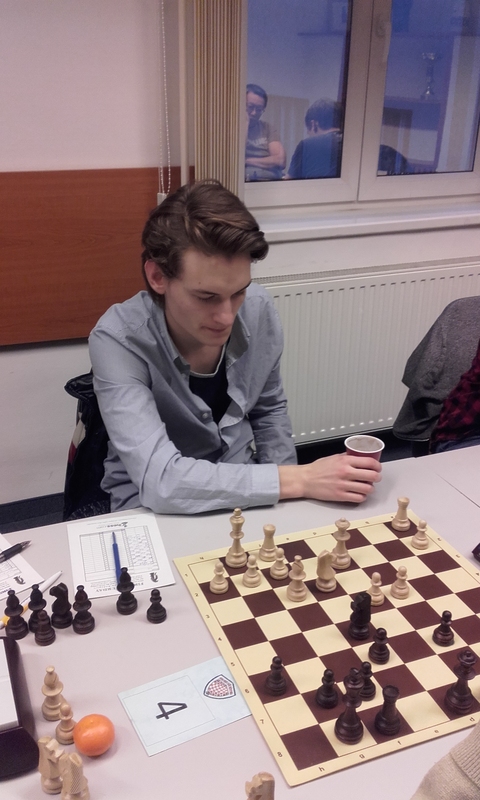 White has some potential counterplay based on the h7 weakness. 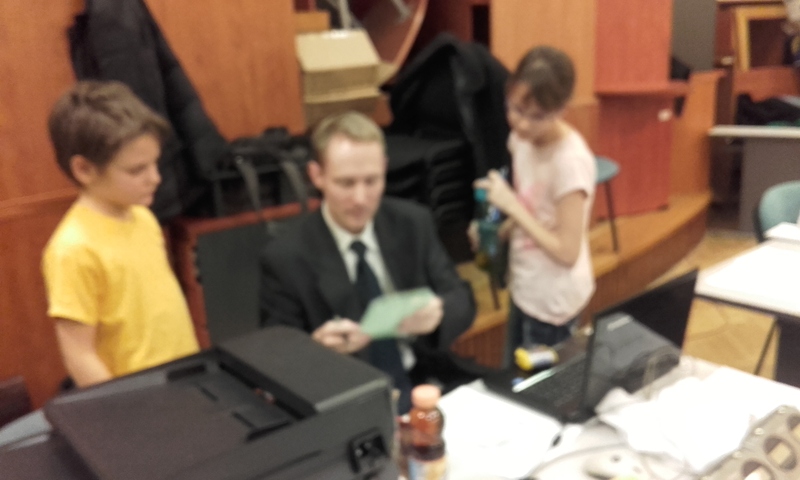 I found the exchange sacrifice 22..Rxd3!? 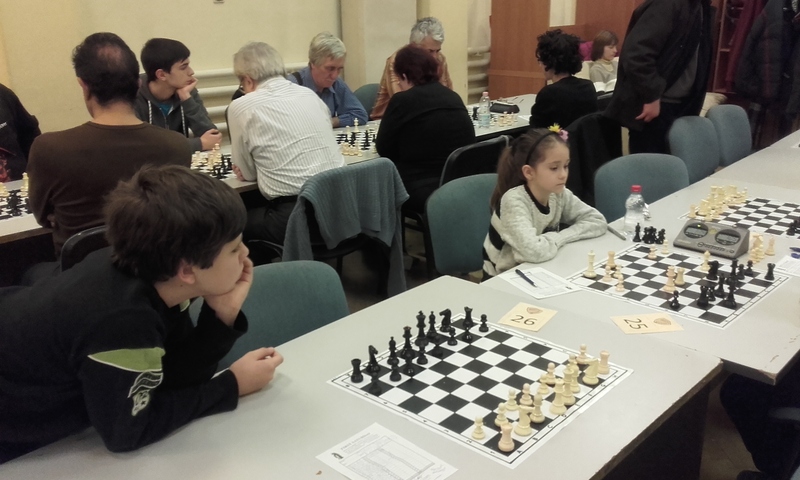 but 22..Ne4! 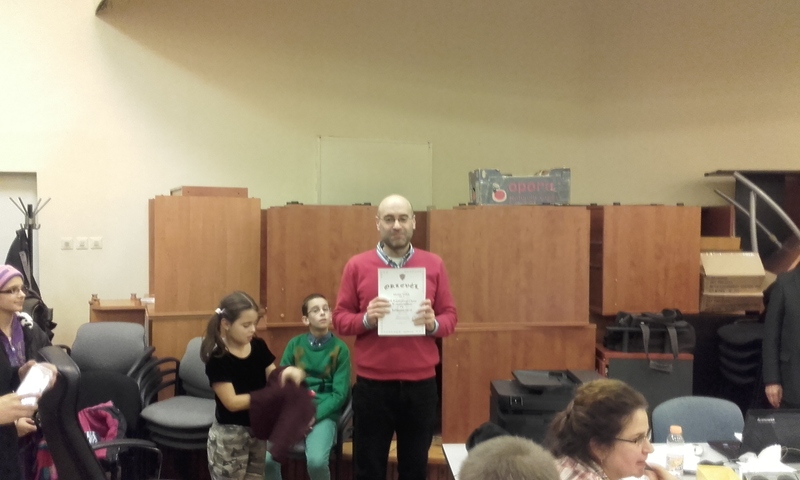 was much stronger. 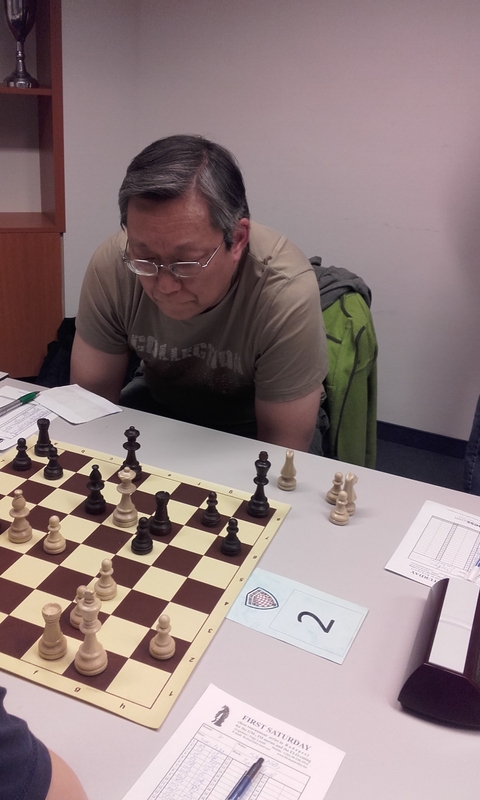 GM Bok won to take overall clear first. 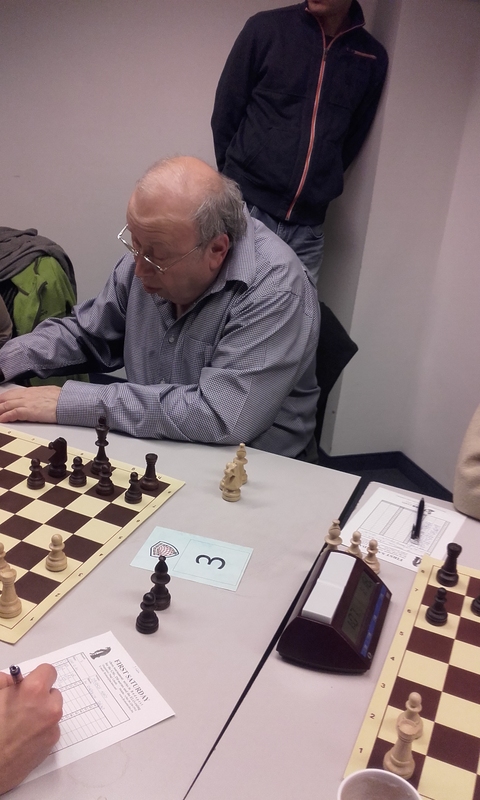 GM Fodor Tamas Jr lost. 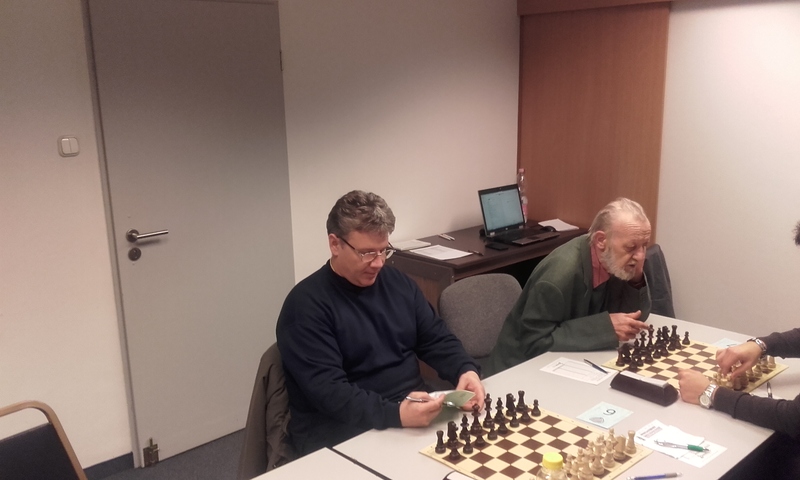 GM Hansen Eric(CAN) lost on board 1. 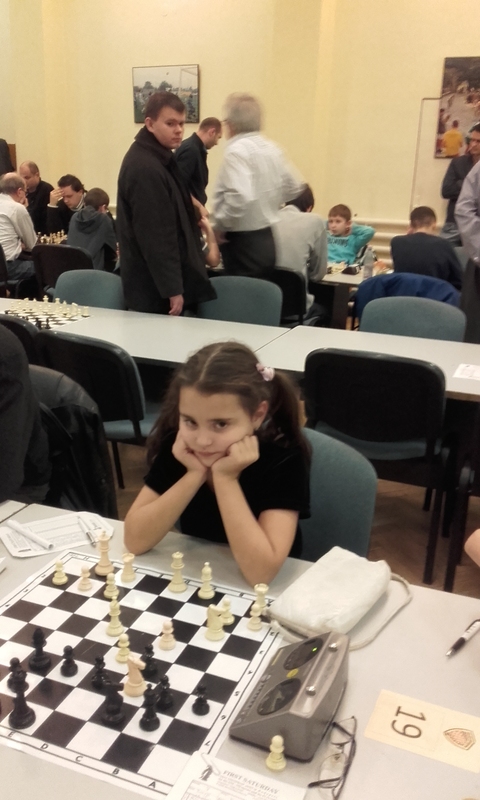 WGM Papp Petra won and now has 5/8. 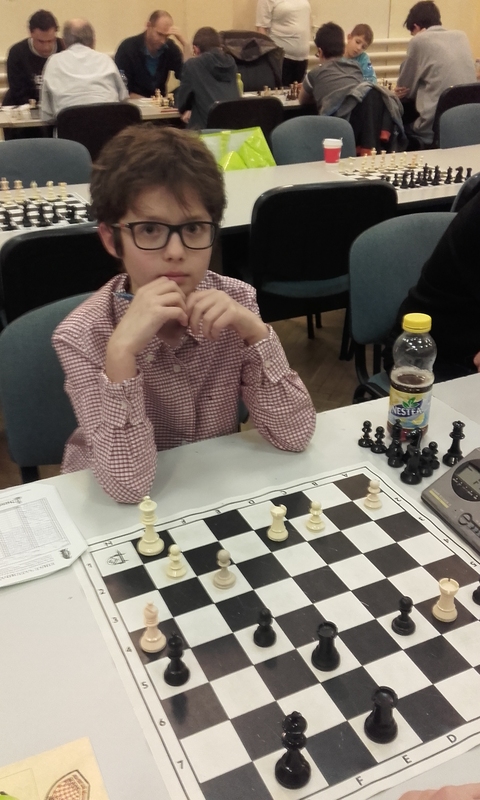 GM Bok Benjamin is in clear first now with 7/8. 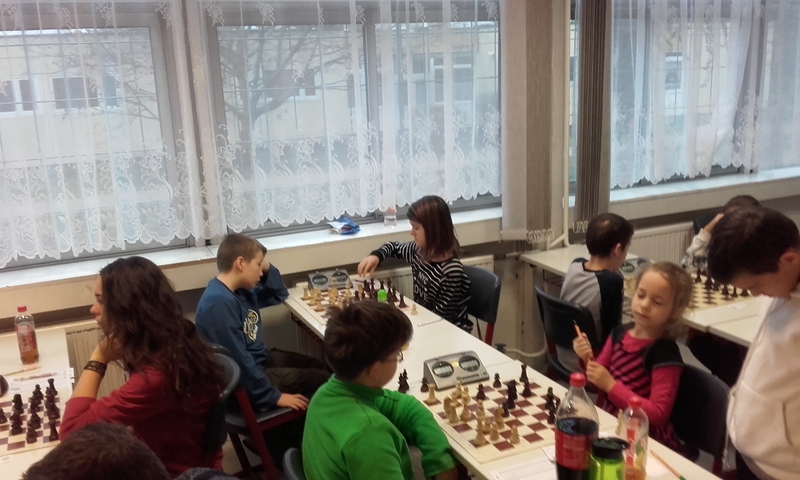 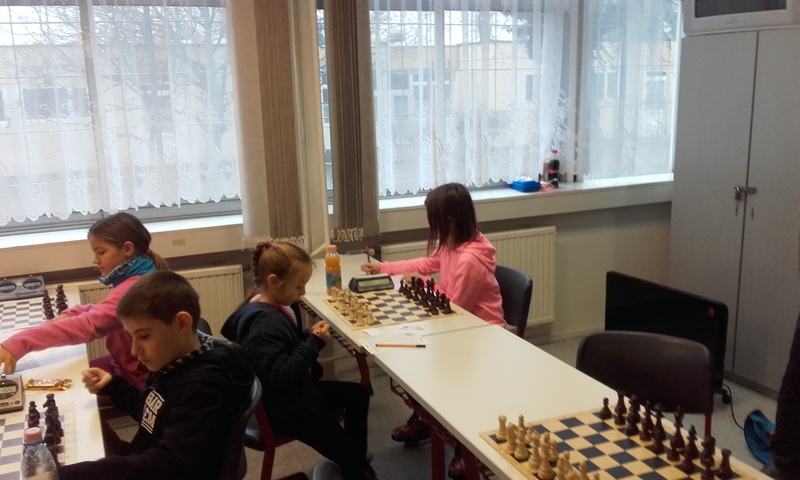 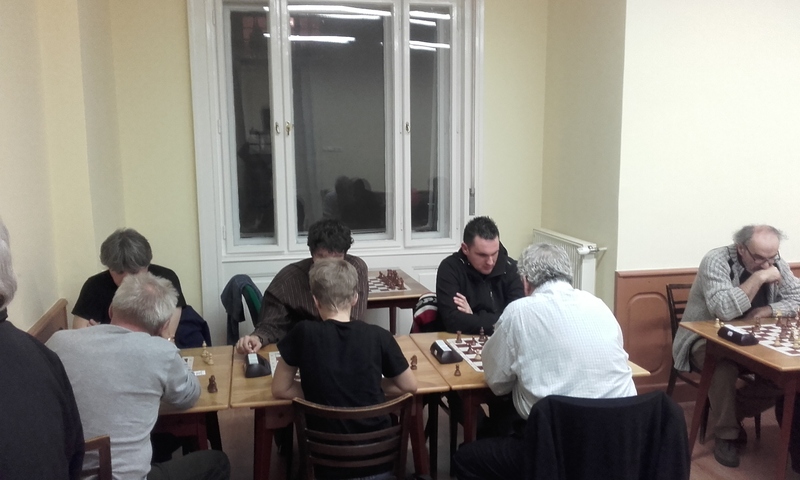 GM Hansen(CAN) won and will share the lead with 6/7. 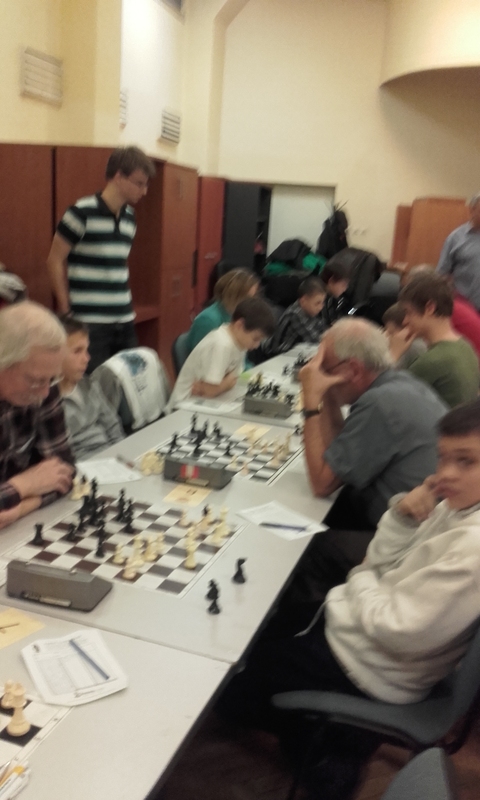 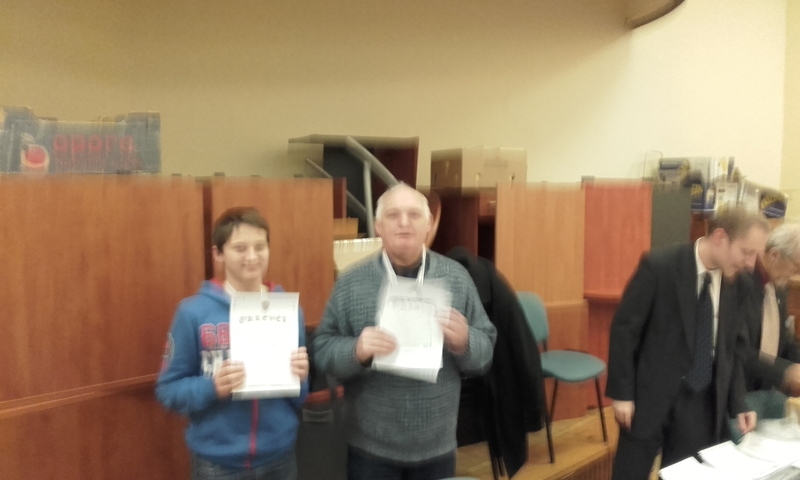 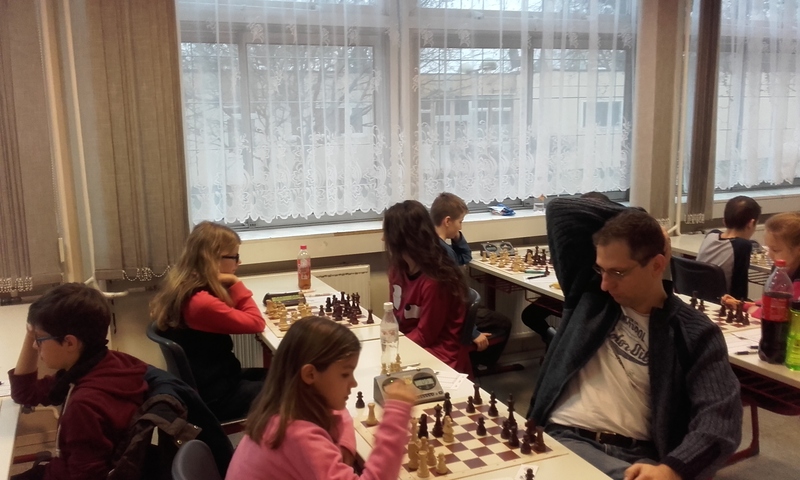 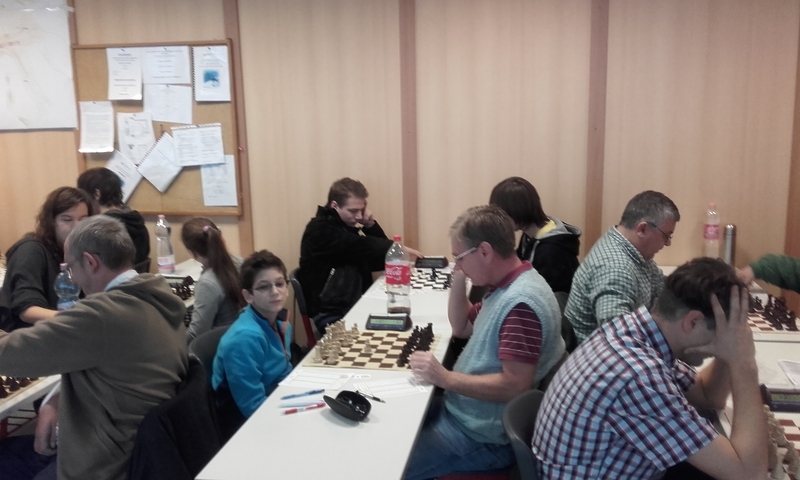 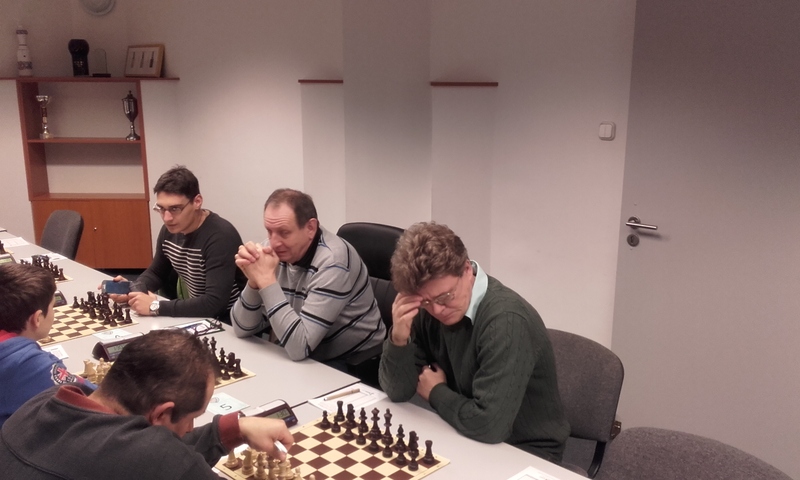 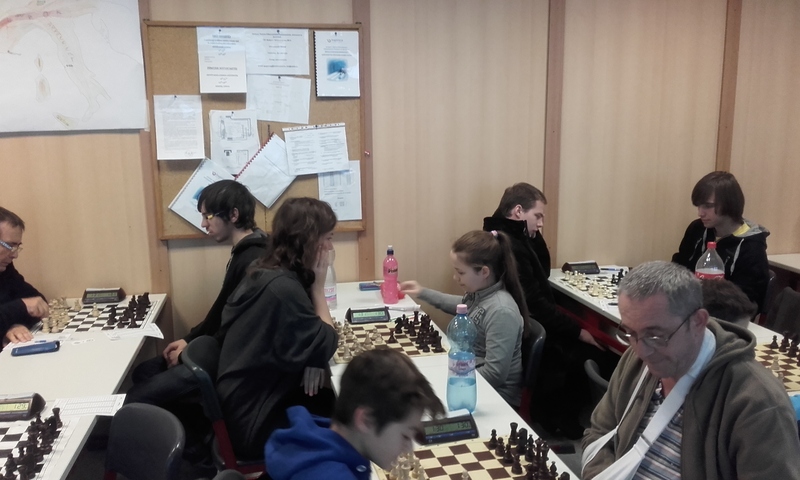 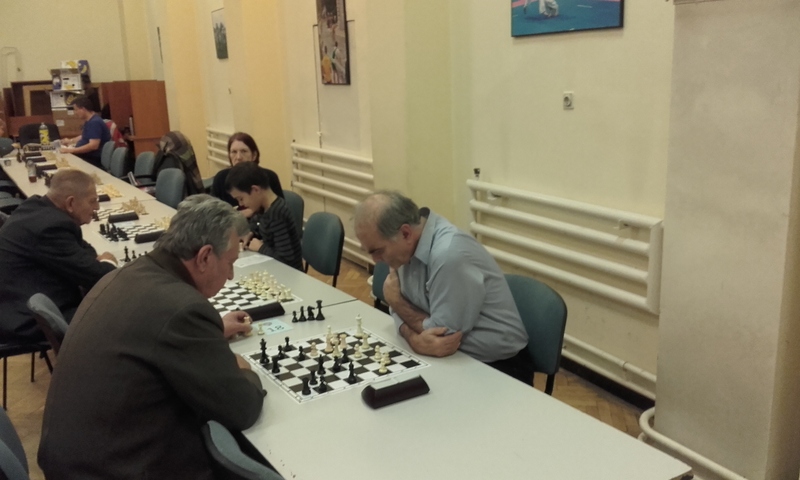 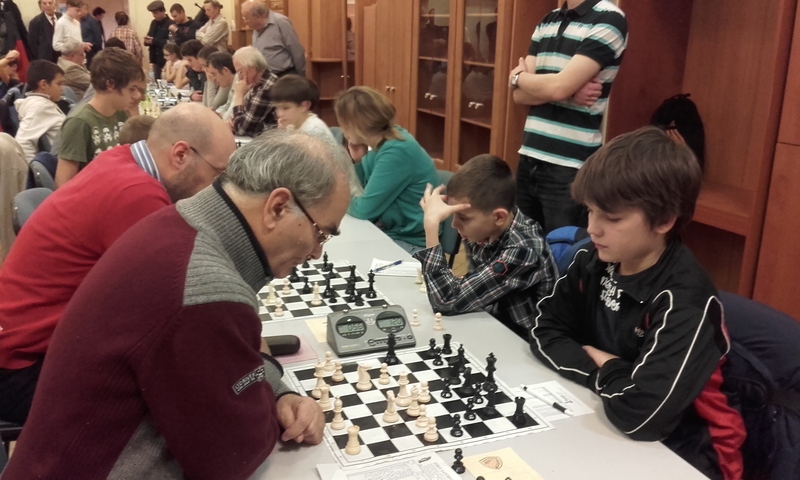 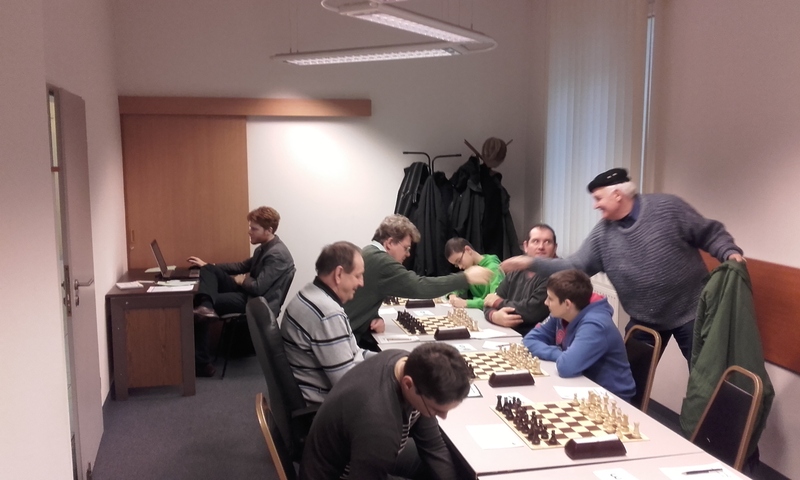 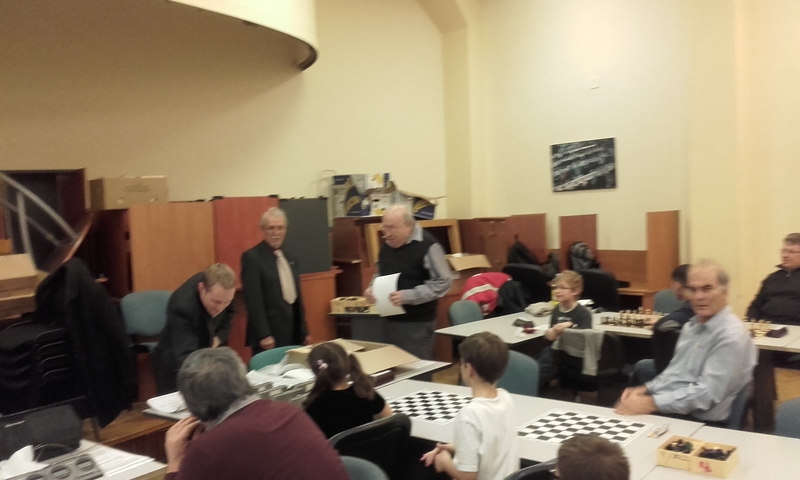 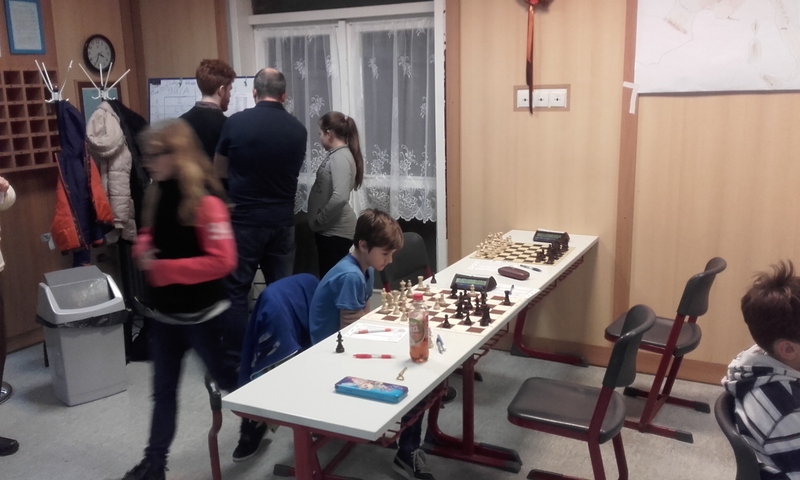 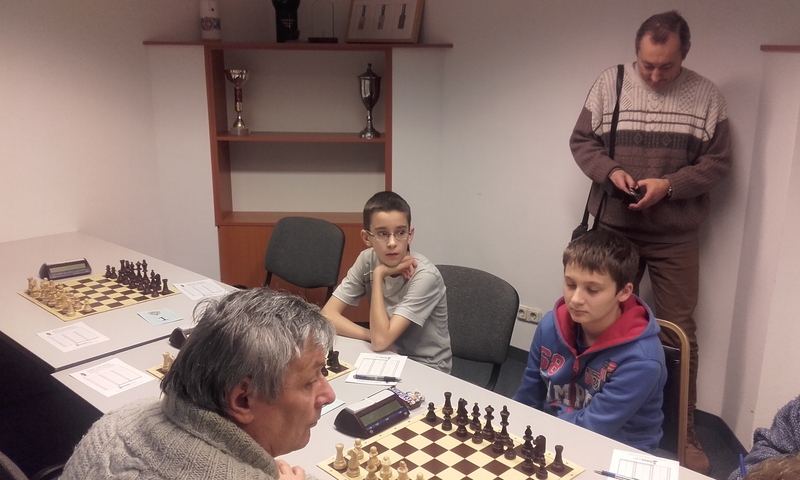 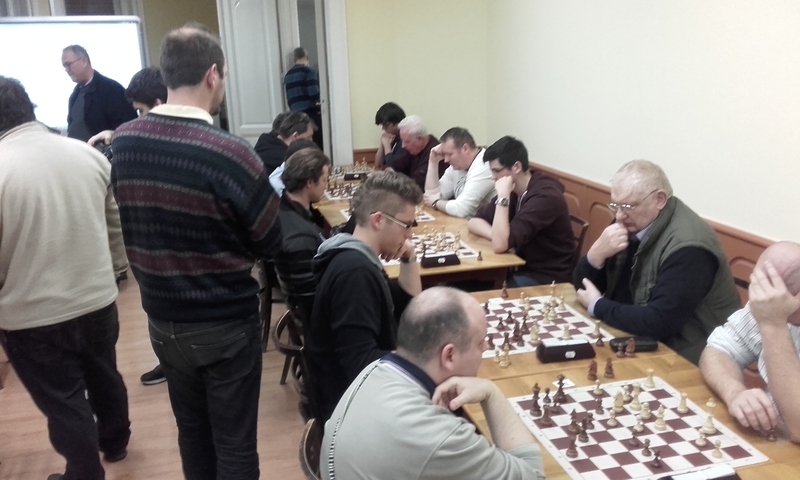 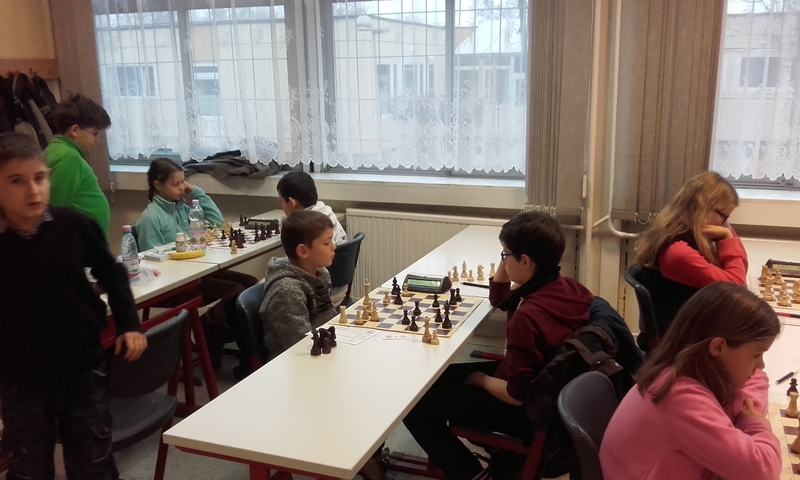 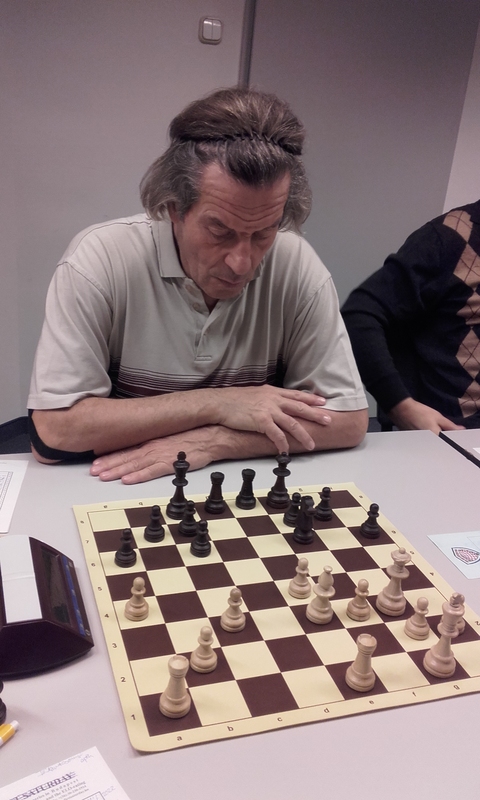 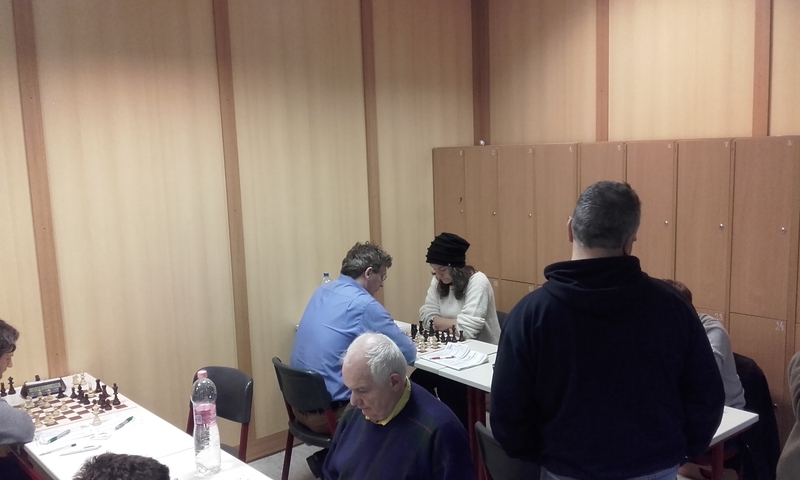 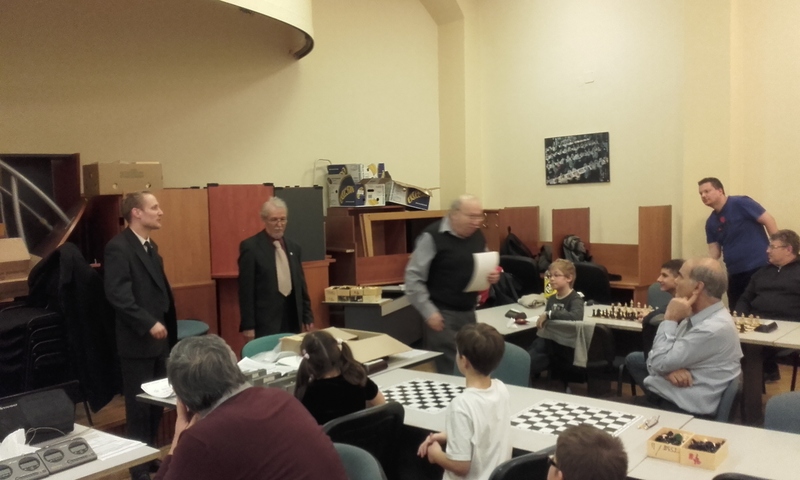 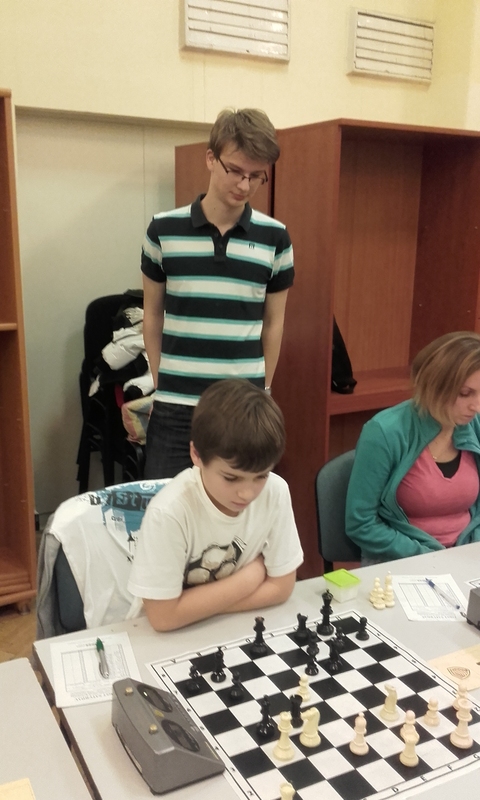 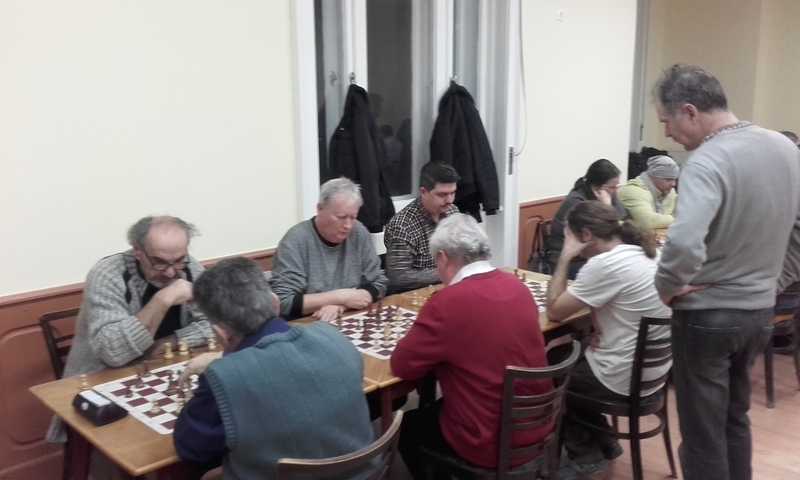 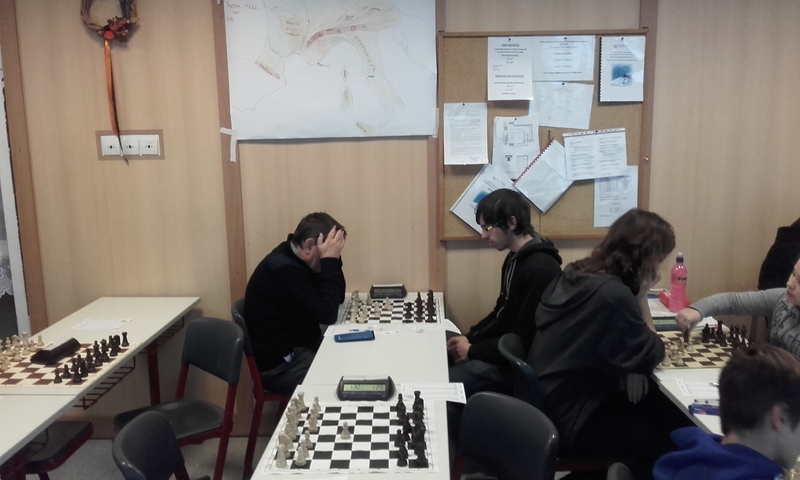 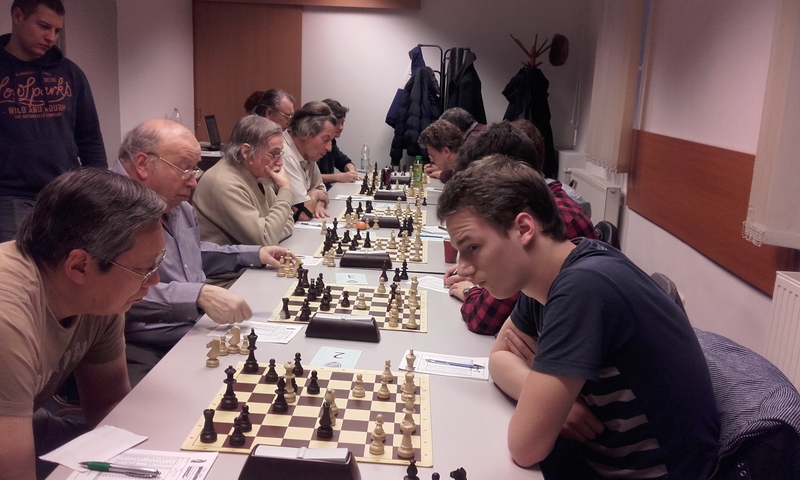 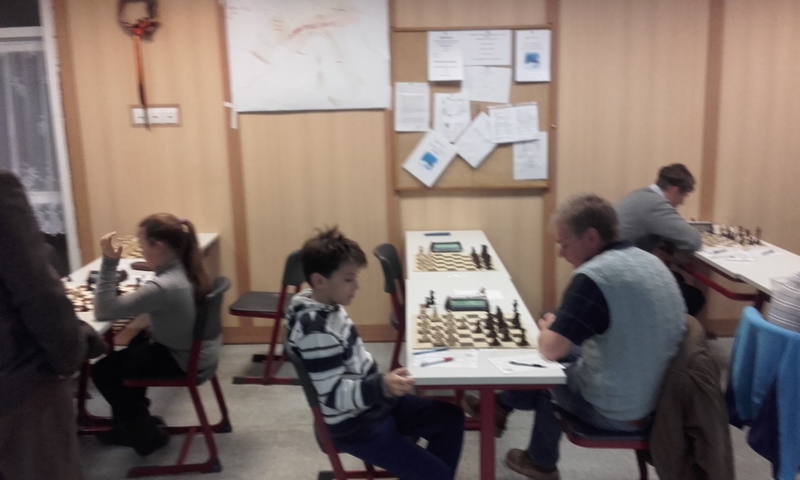 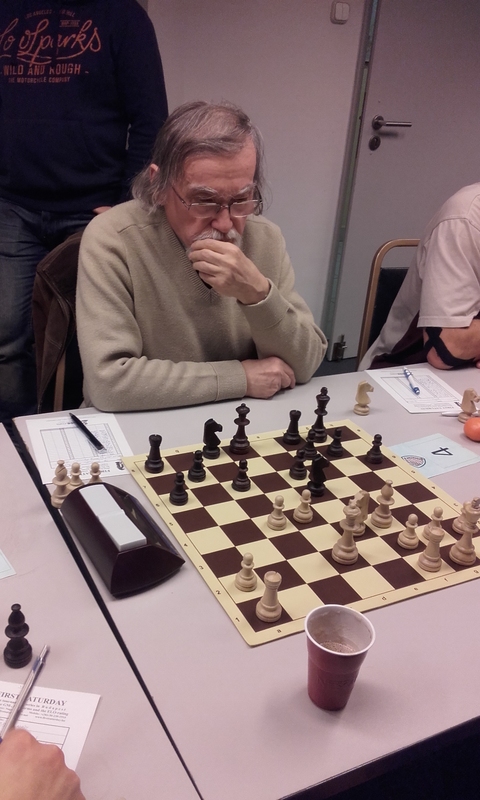 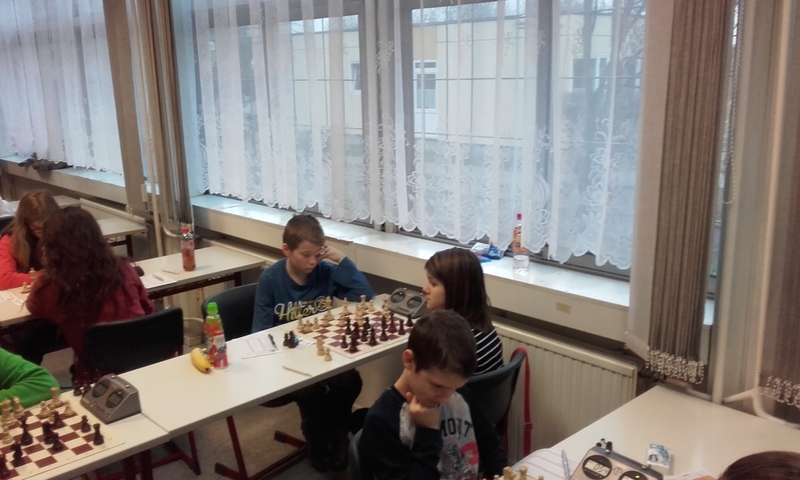 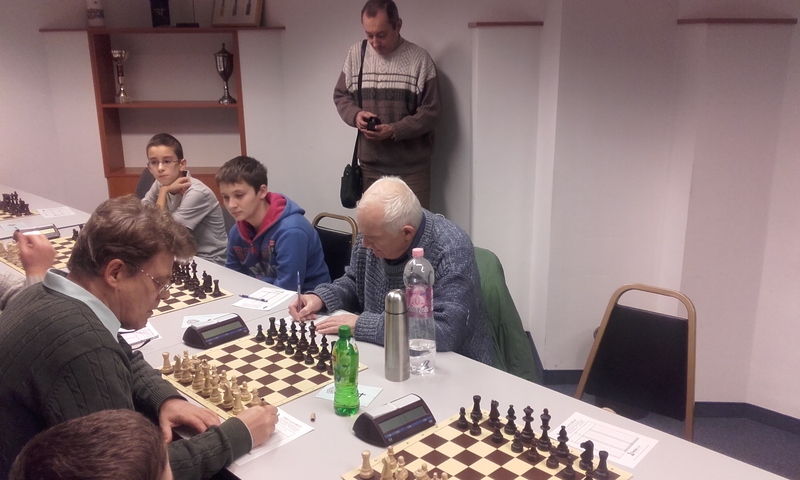 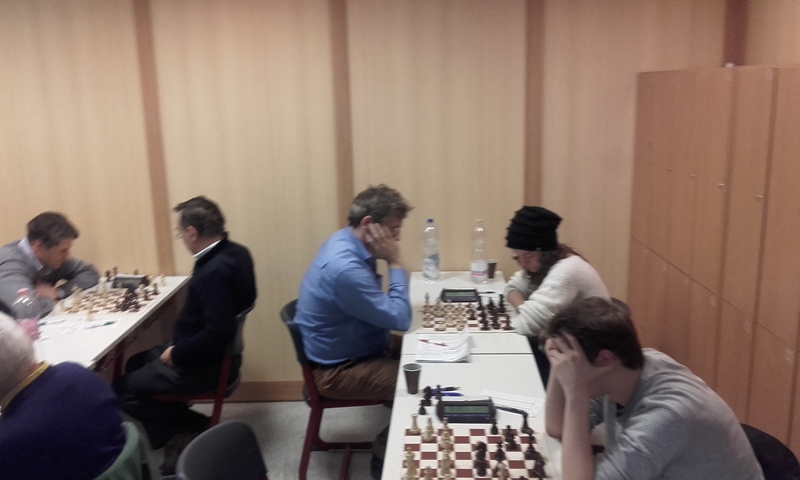 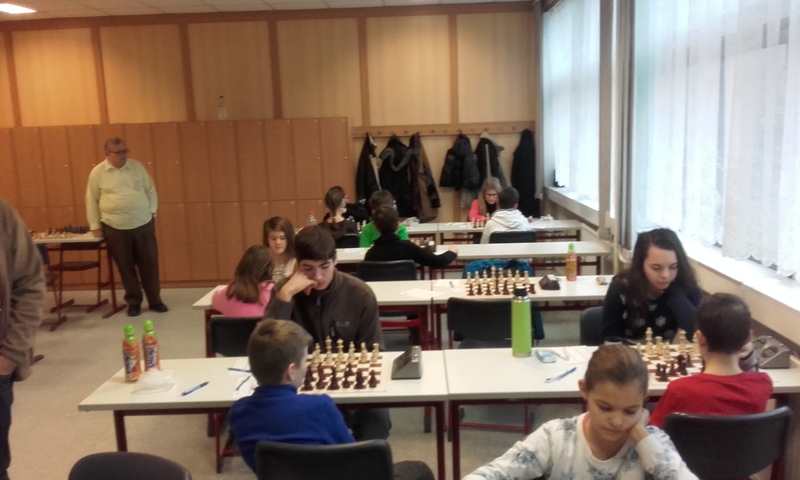 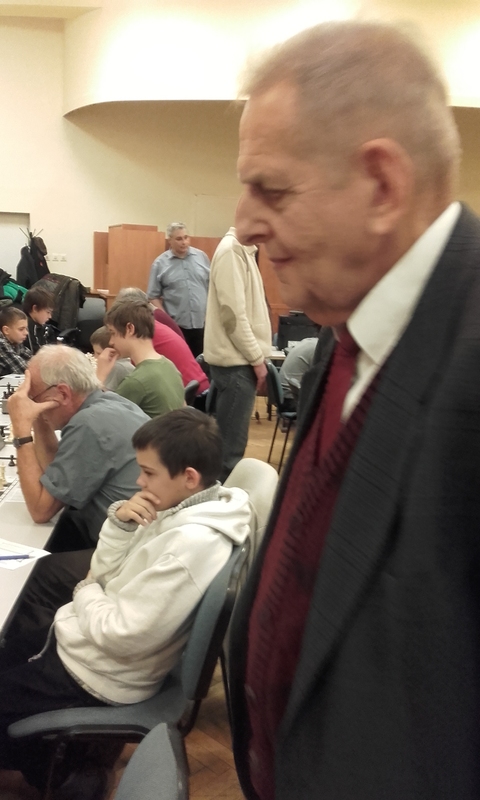 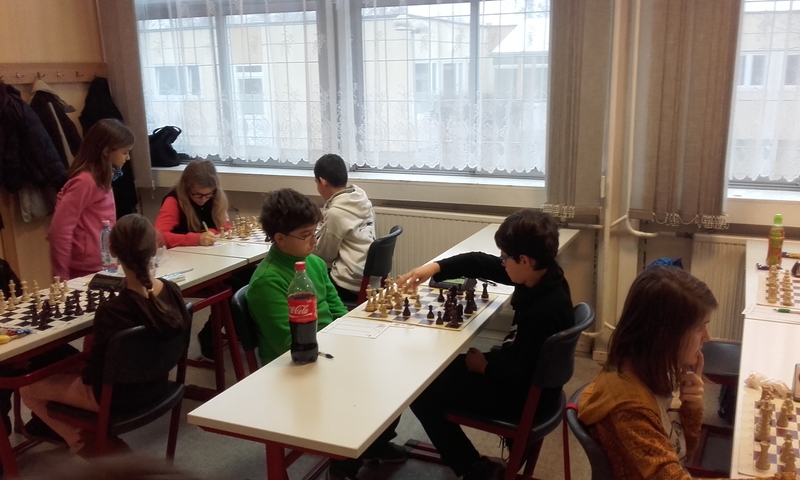 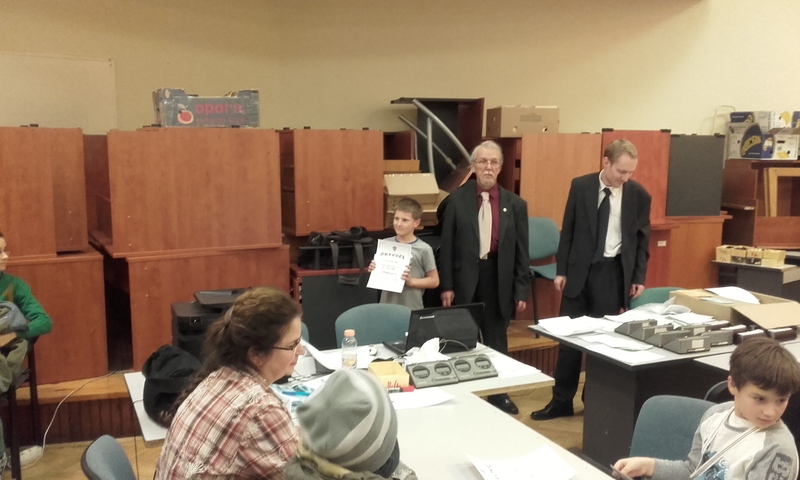 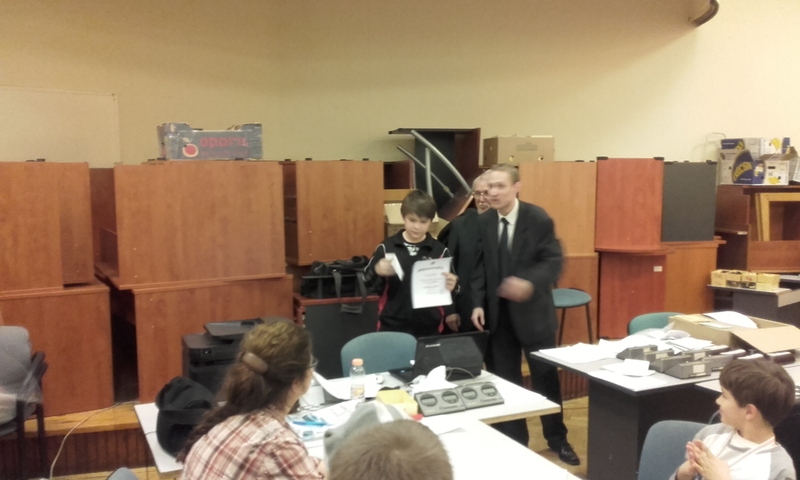 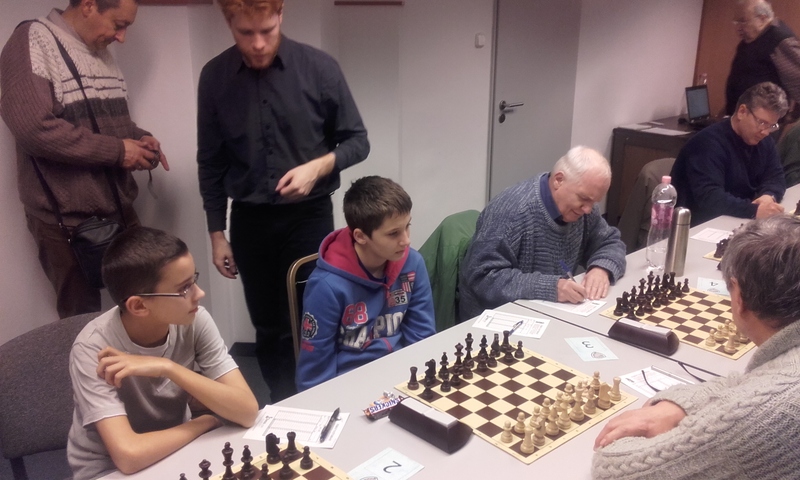 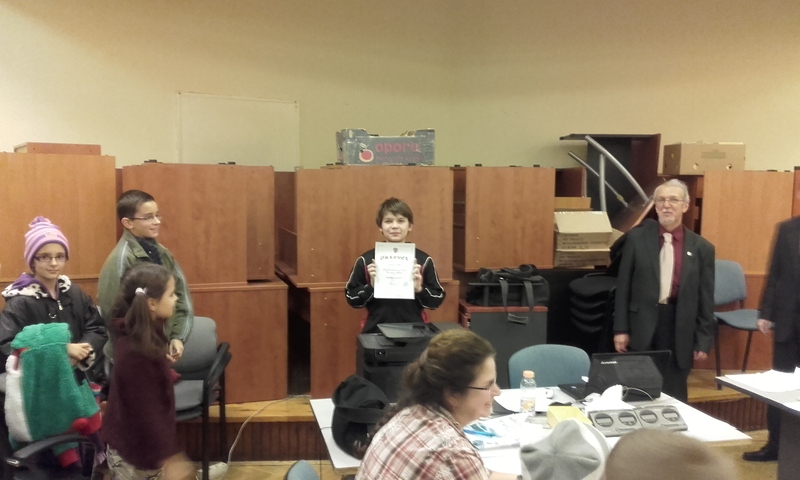 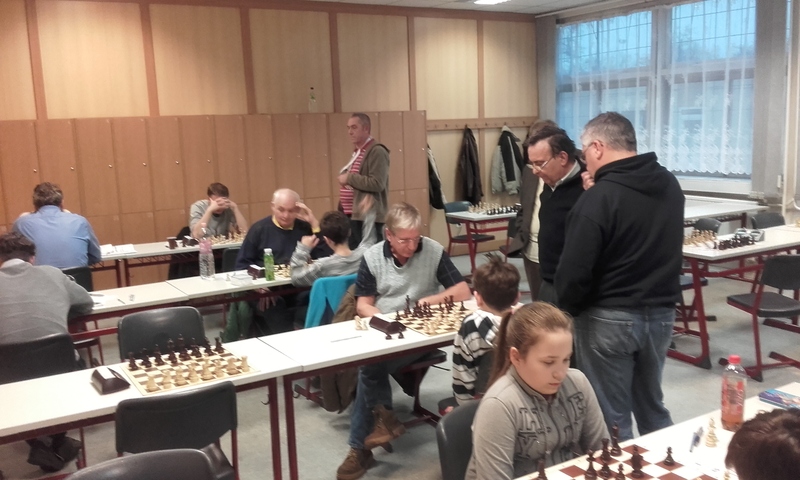 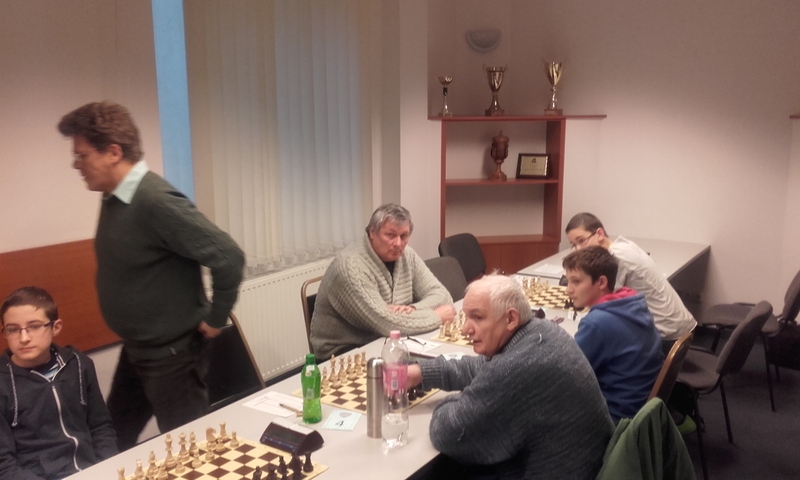 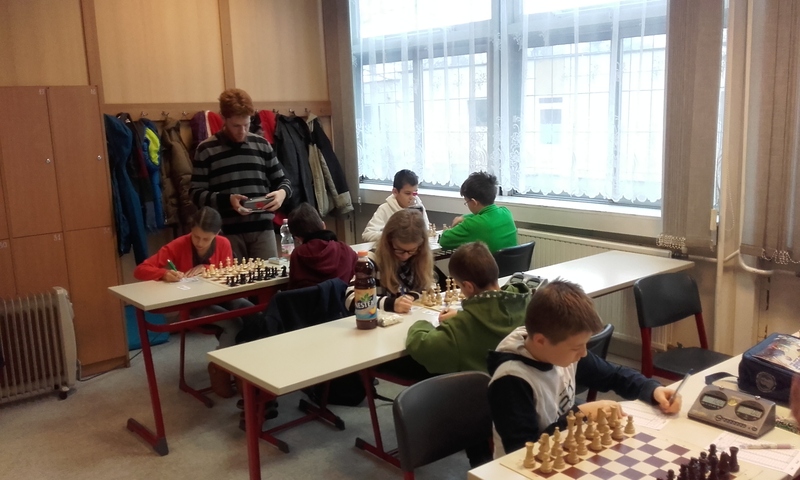 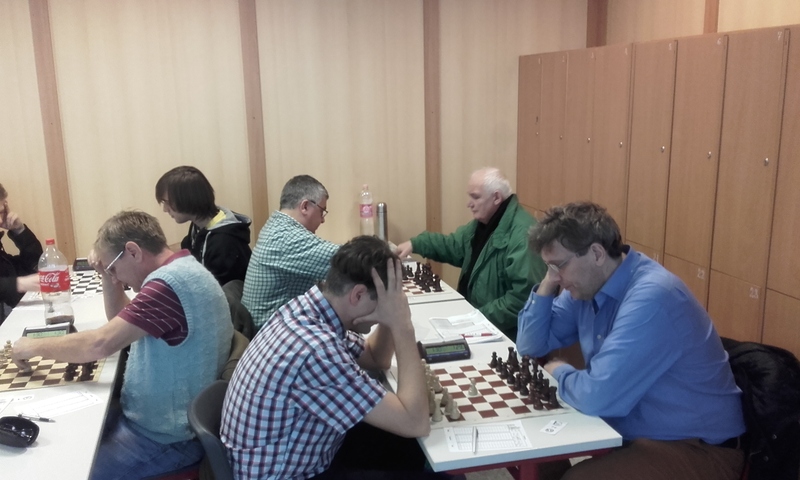 GM Fodor Tamas Jr(HUN) was held to a draw on board 2. 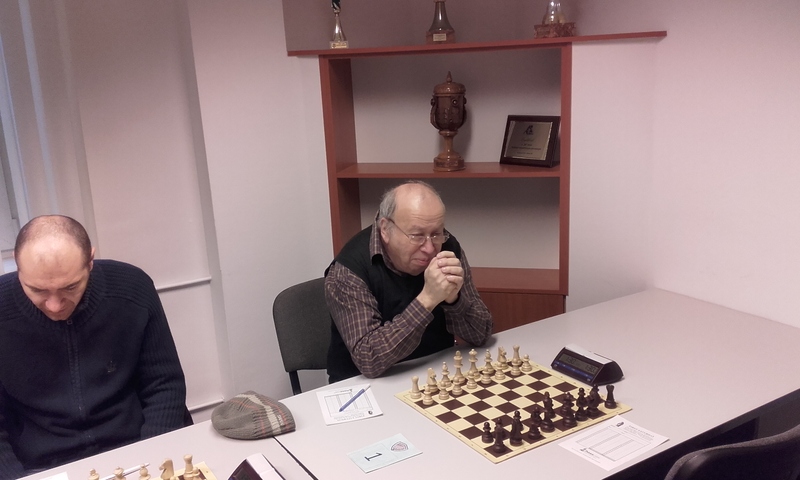 IM Gledura was upset in spectacular fashion. 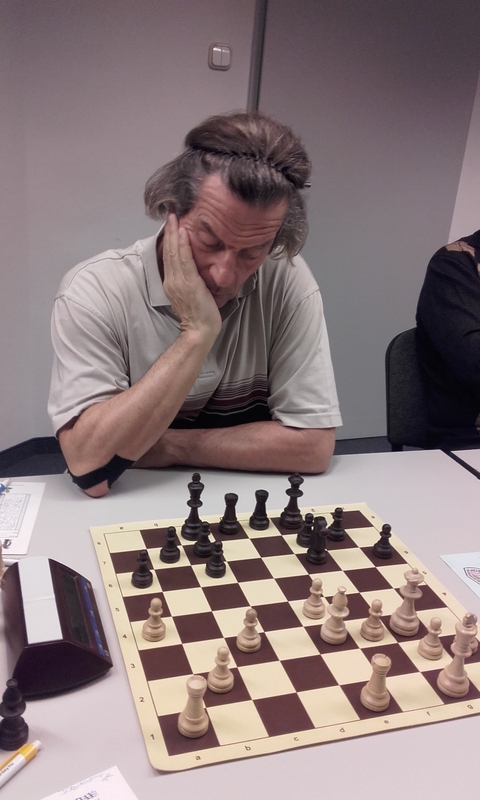 White found the nice blow 20.Nxe6! 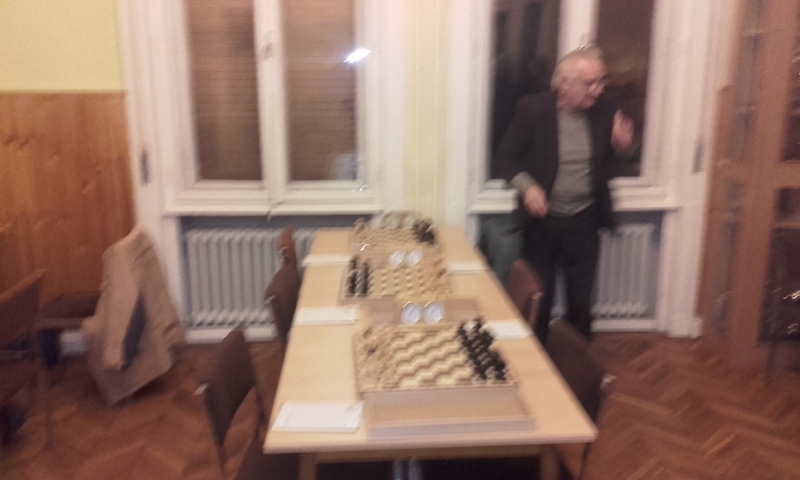 but had to win the game twice after letting Black back into the game.